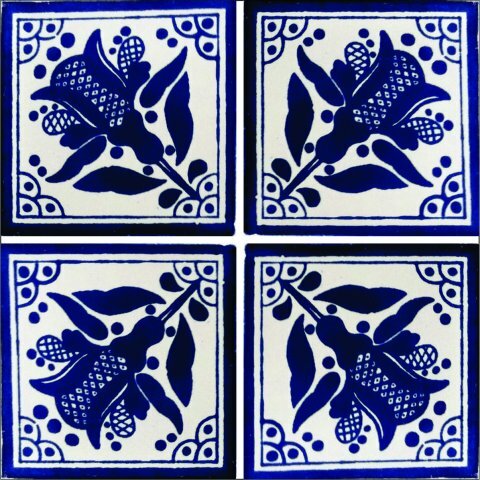 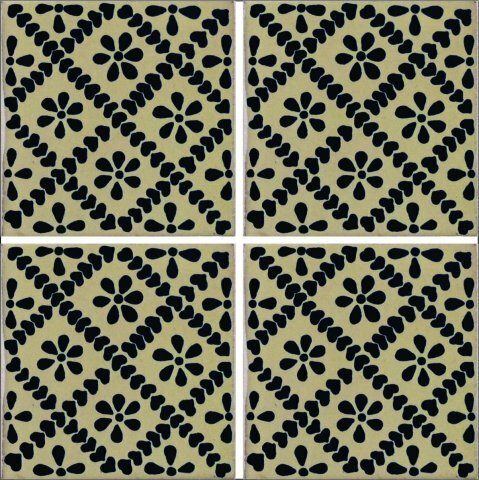 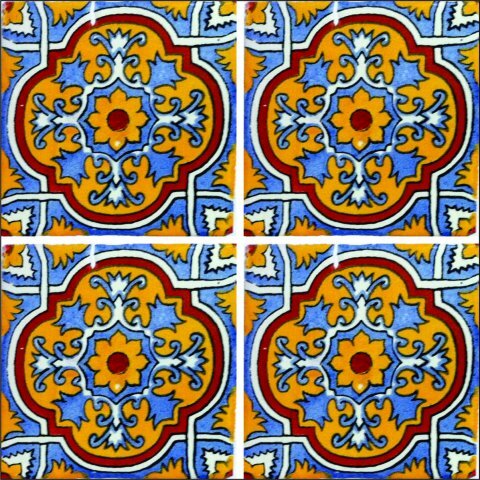 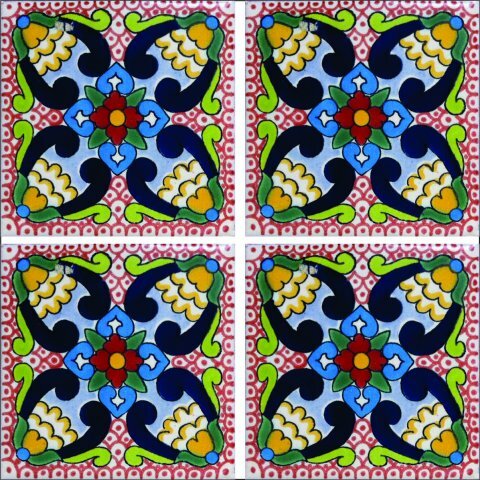 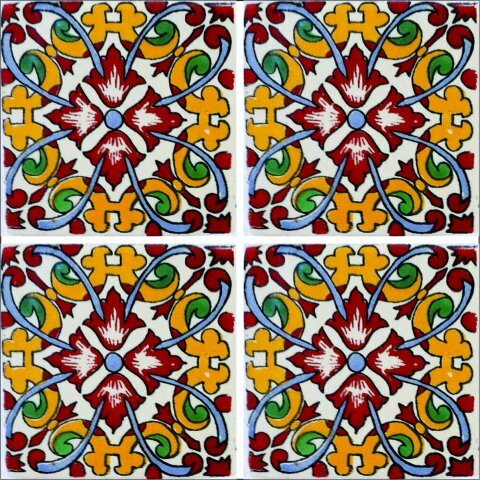 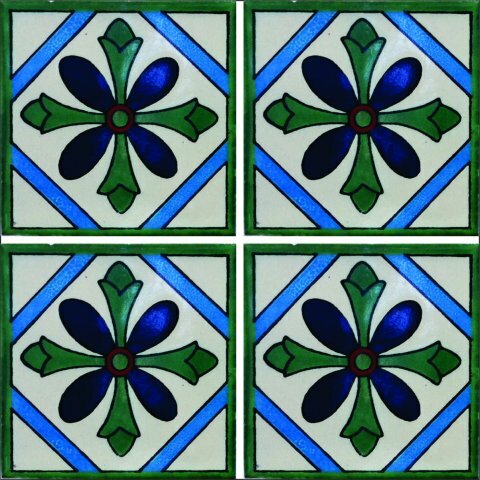 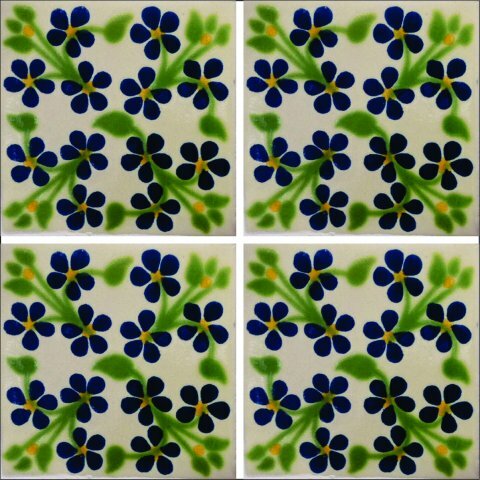 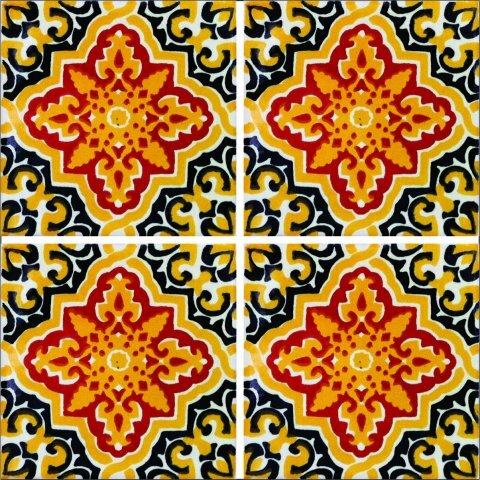 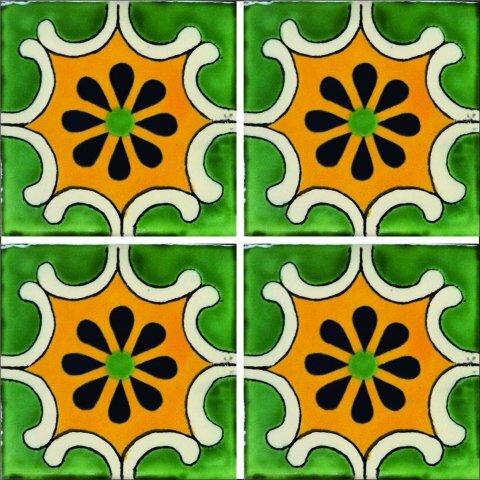 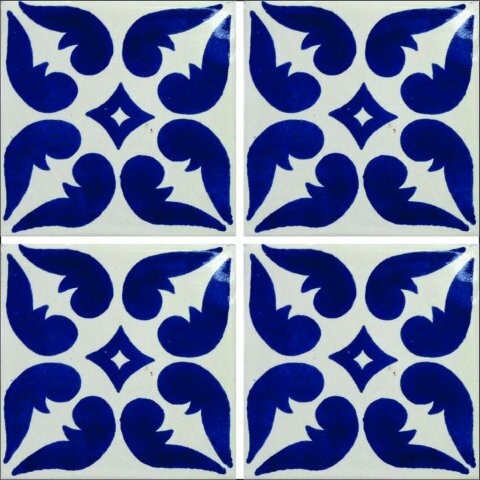 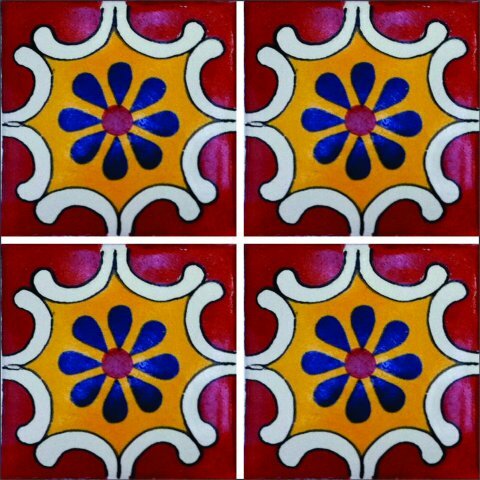 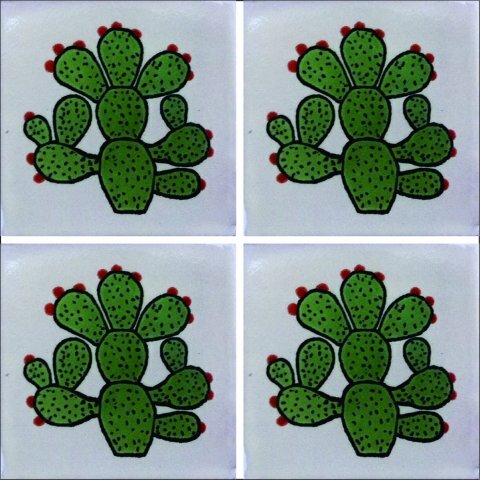 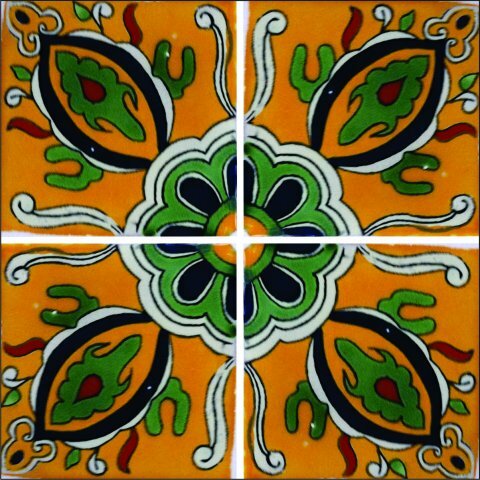 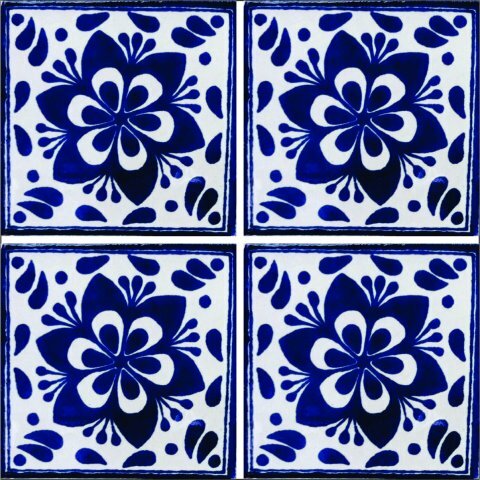 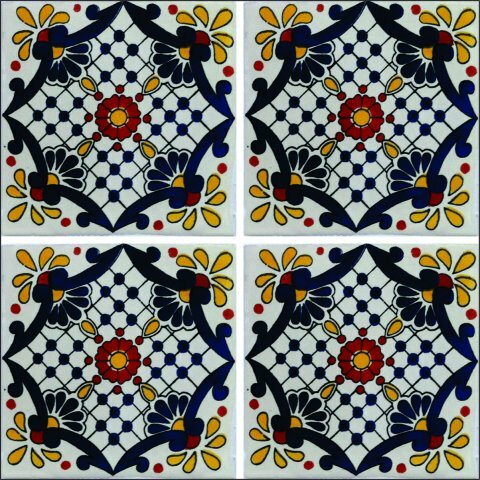 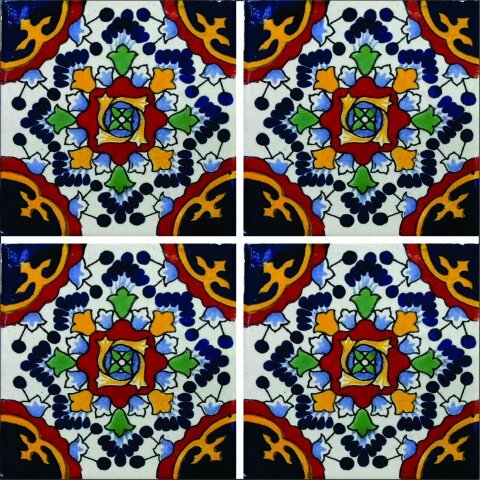 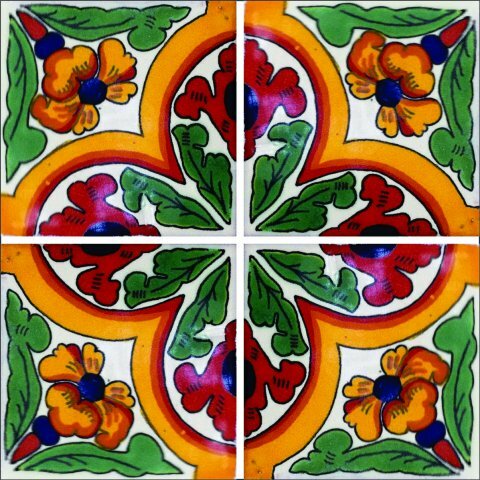 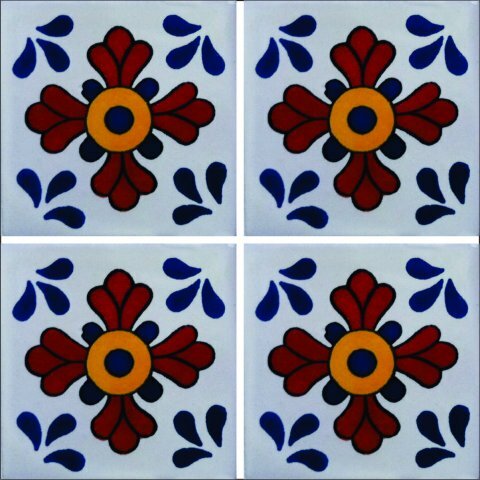 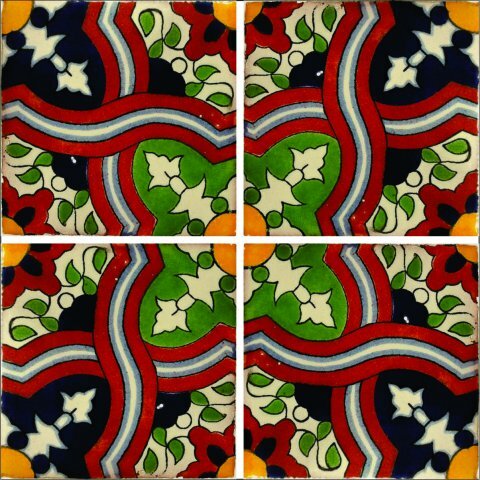 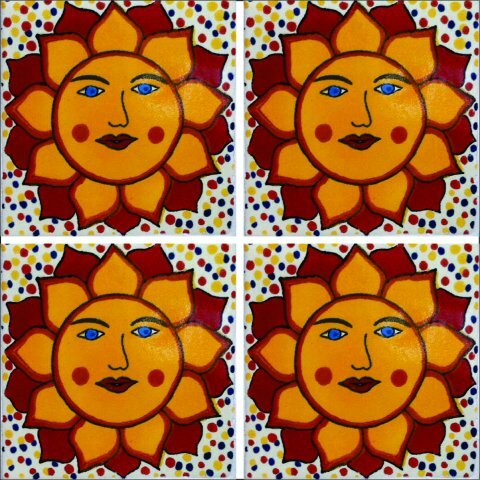 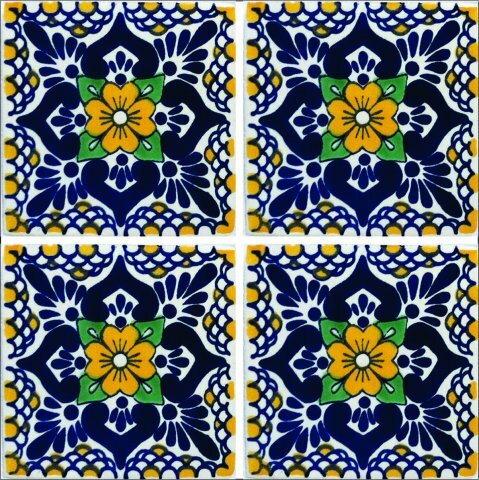 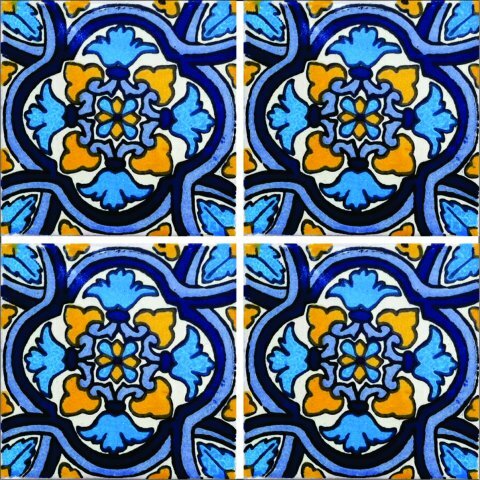 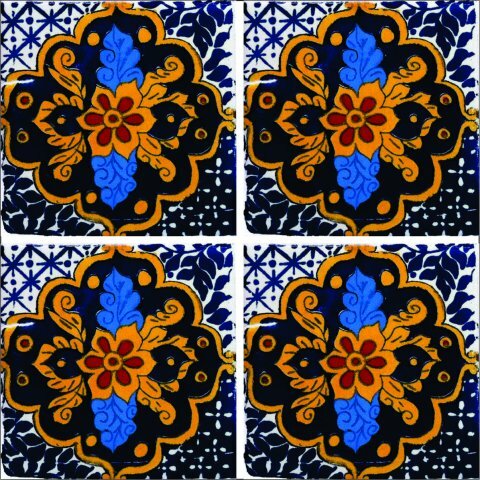 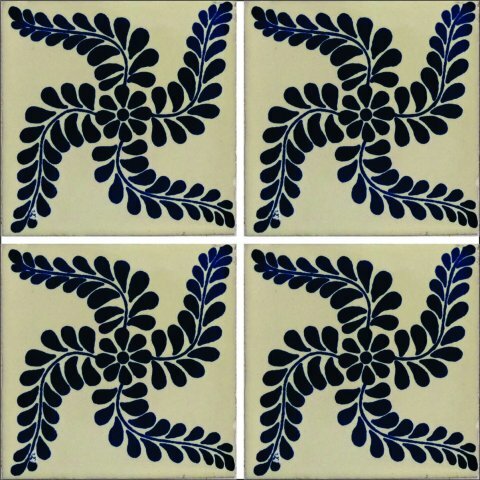 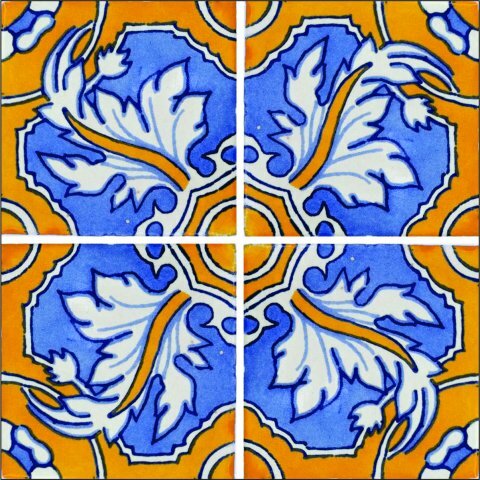 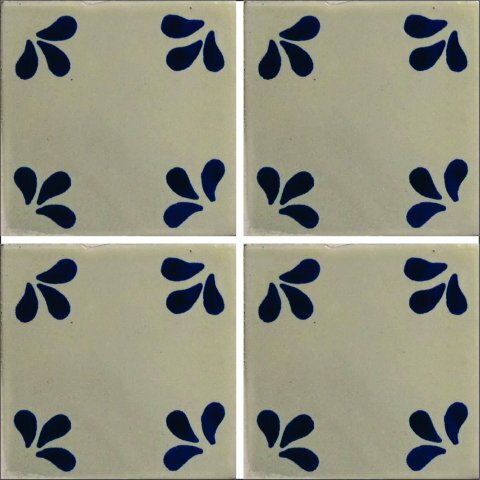 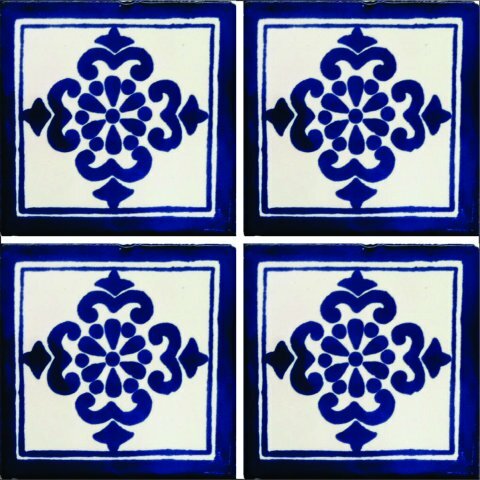 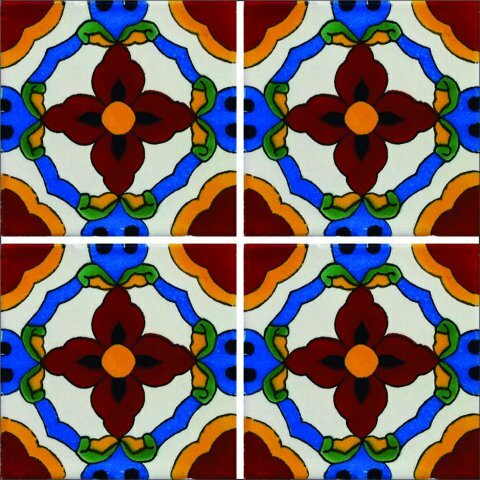 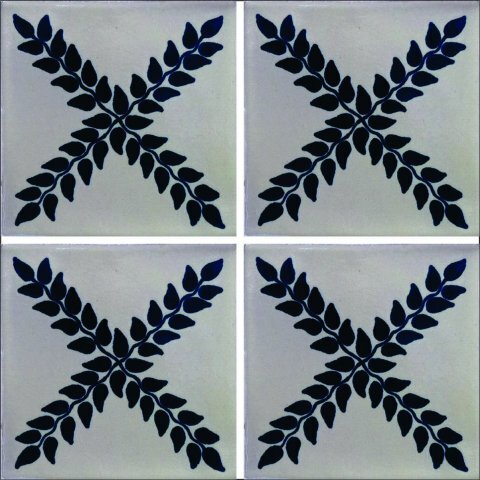 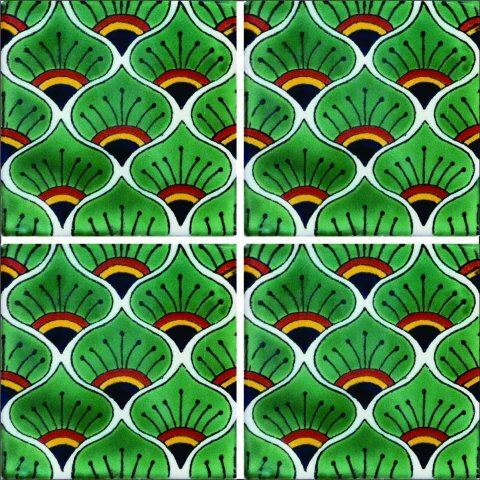 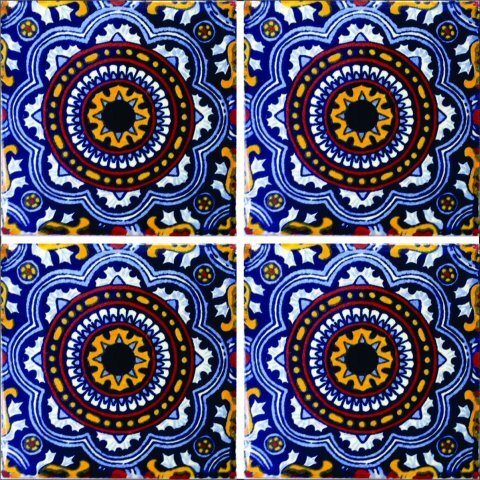 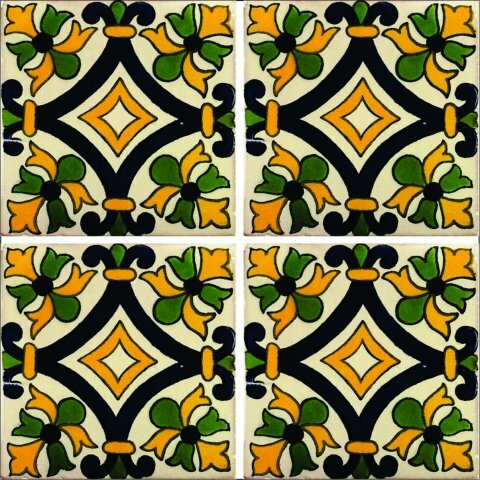 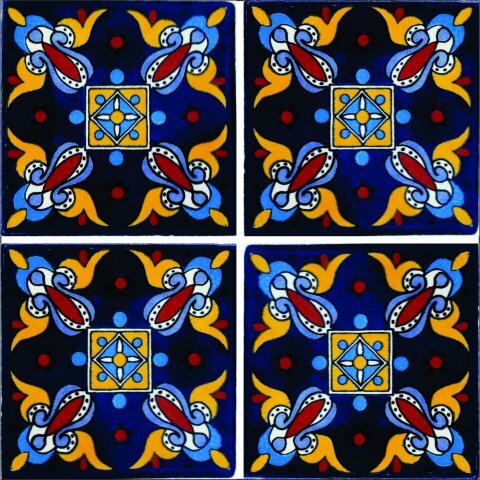 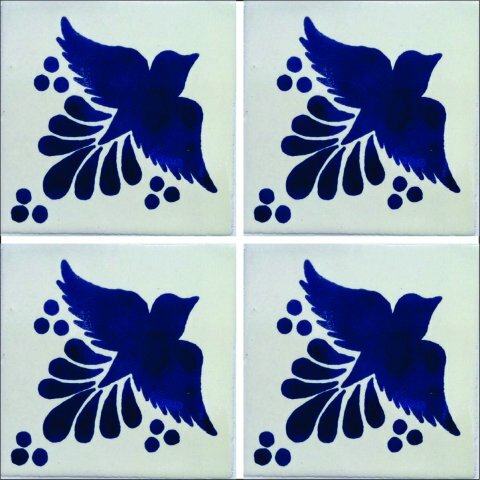 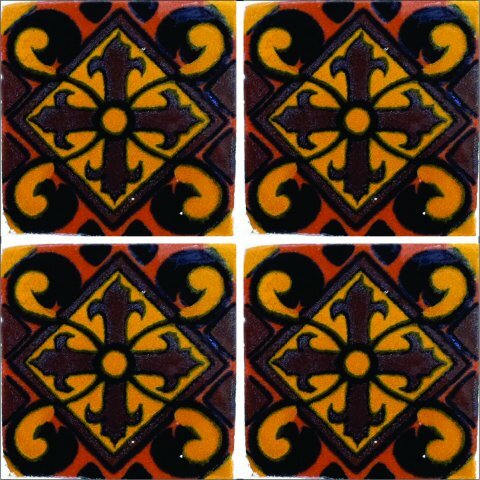 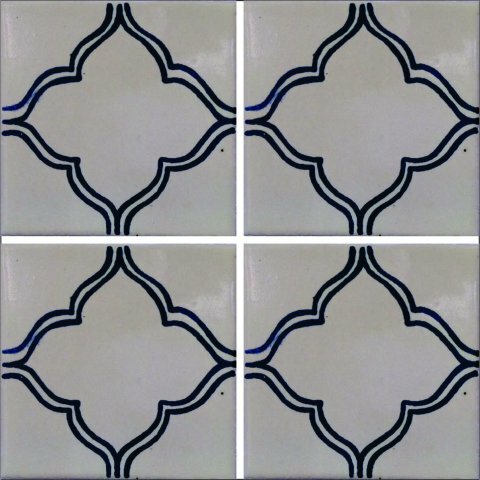 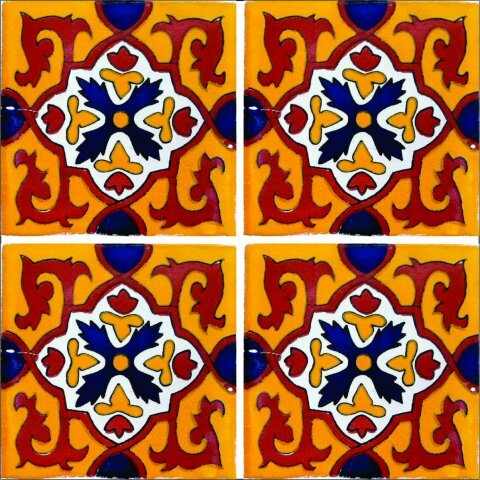 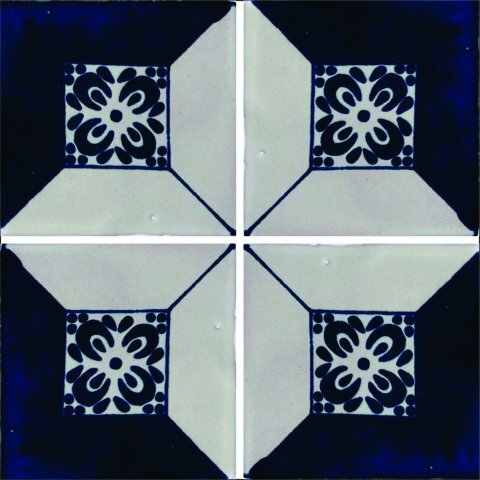 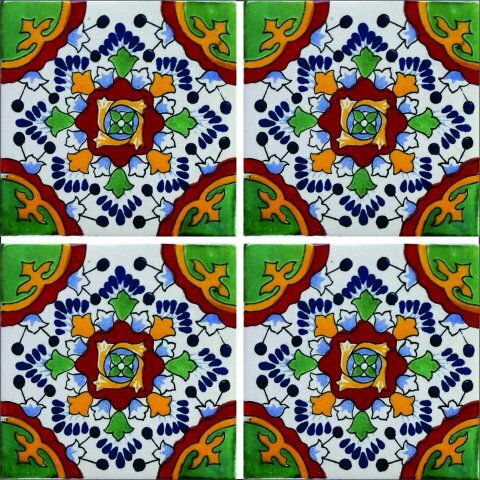 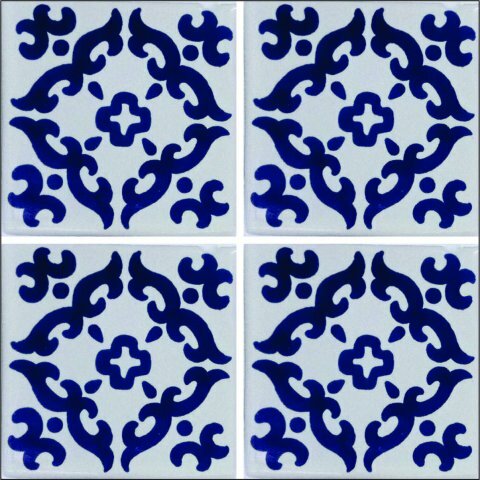 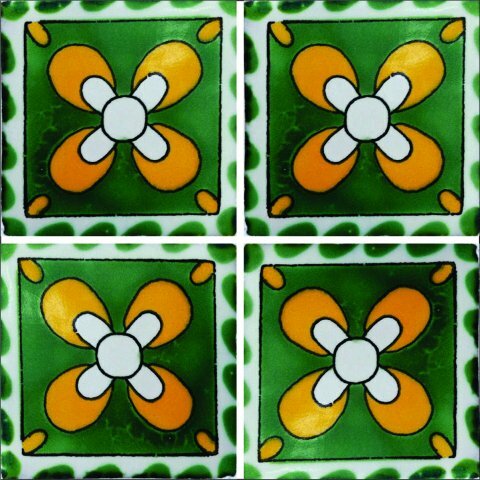 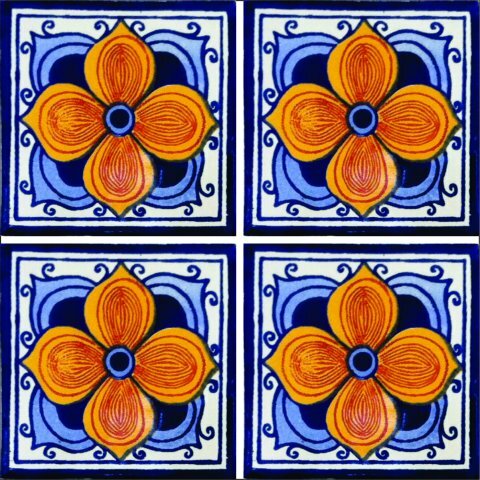 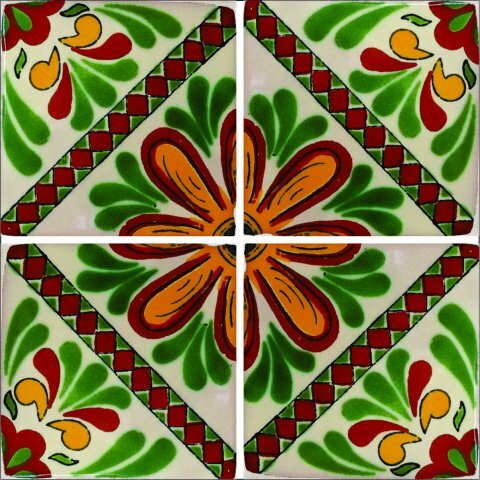 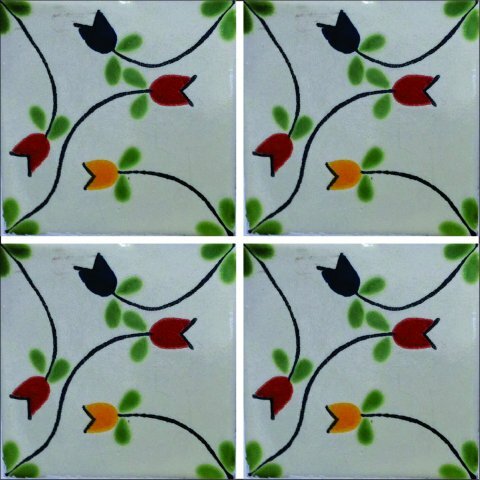 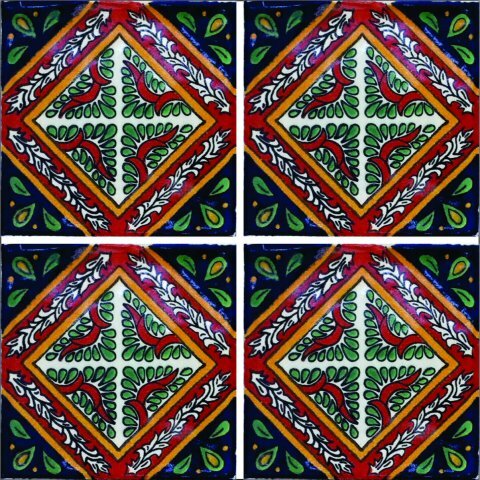 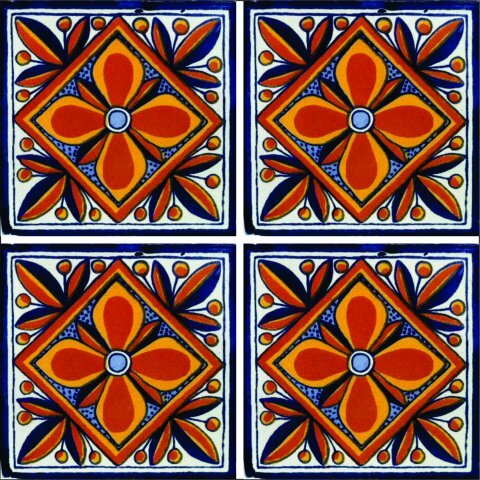 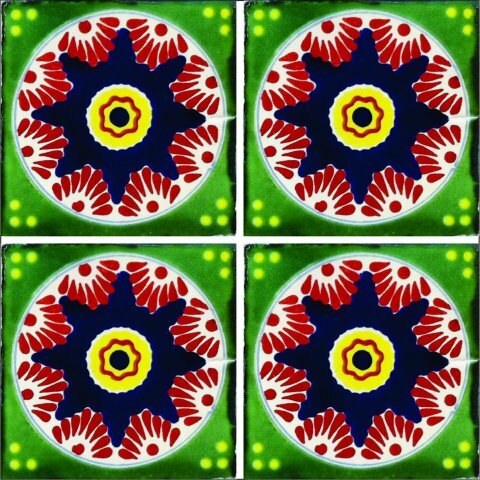 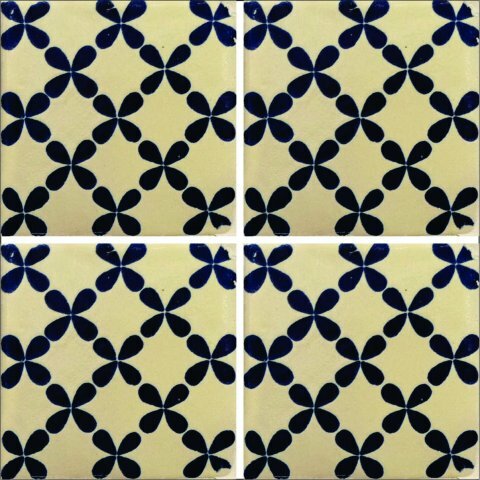 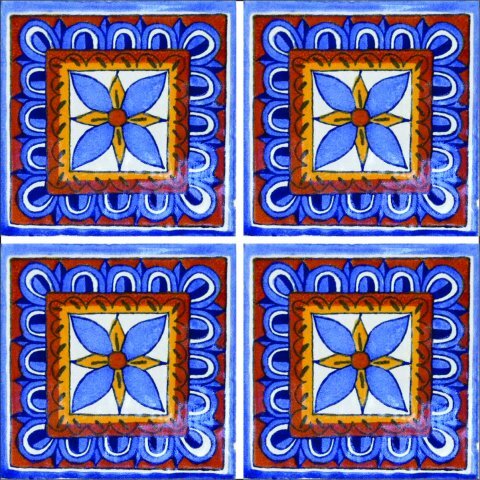 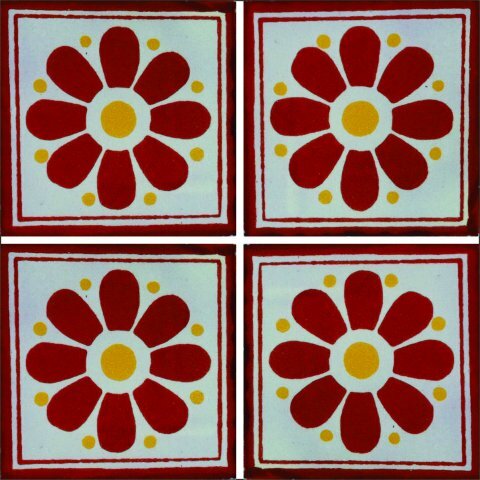 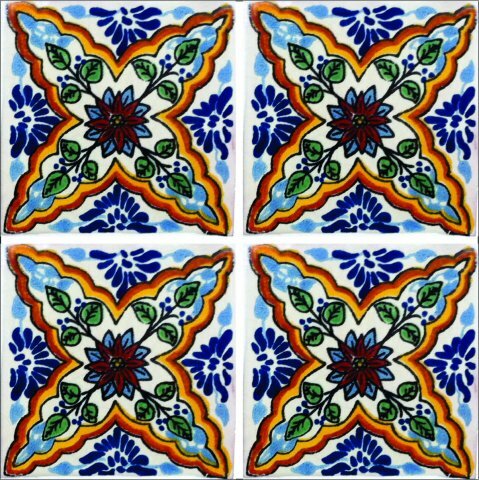 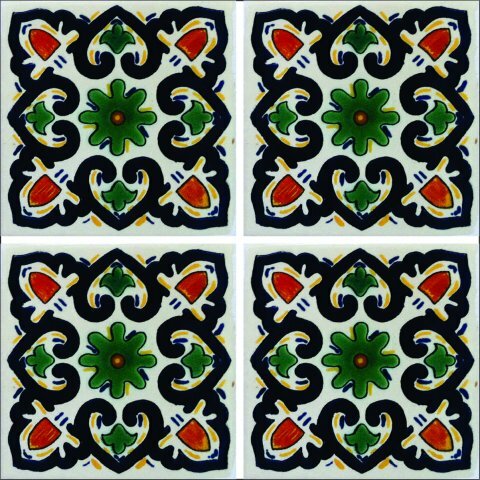 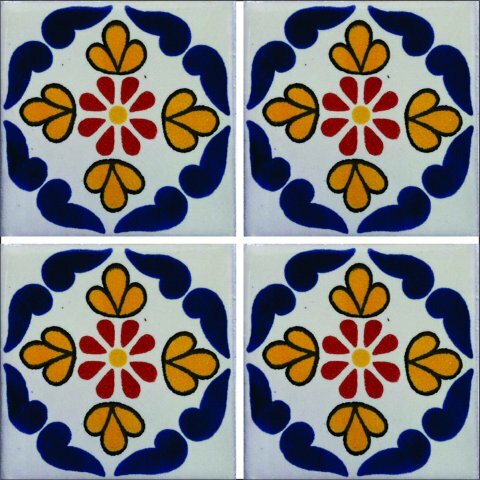 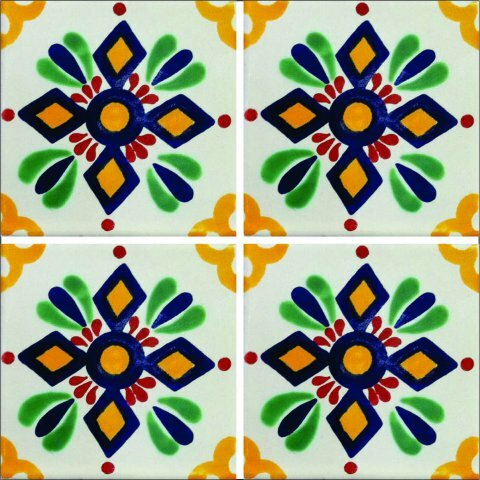 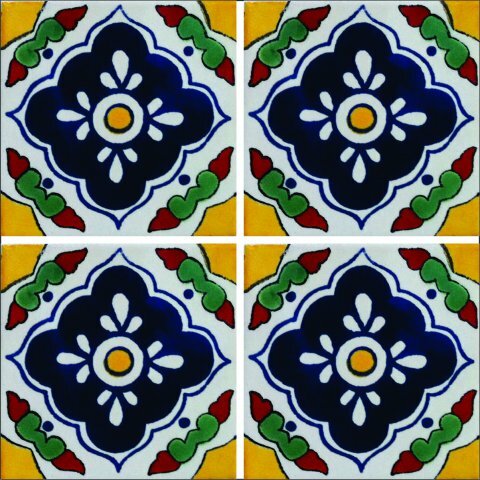 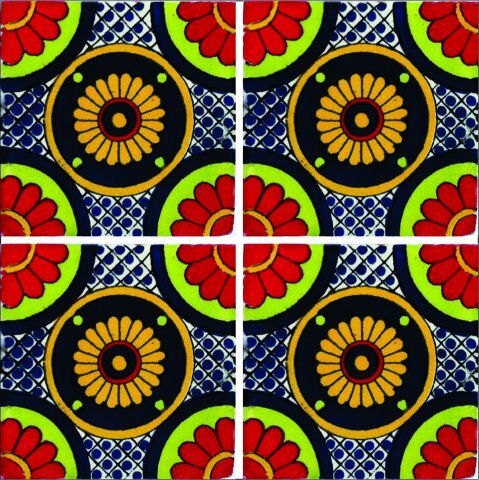 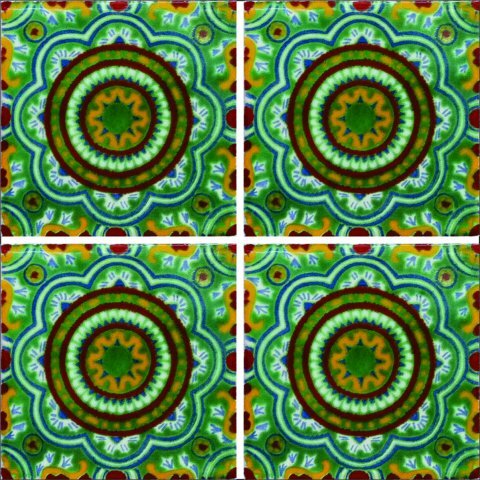 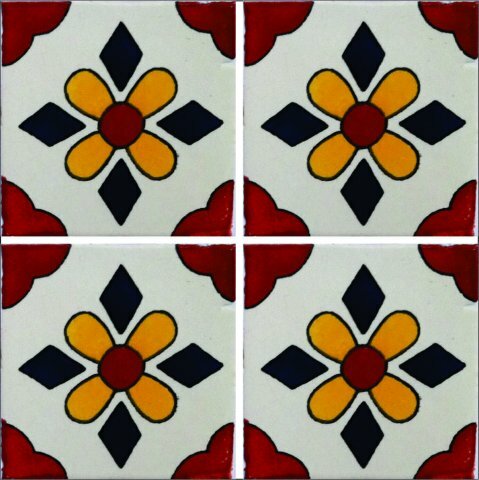 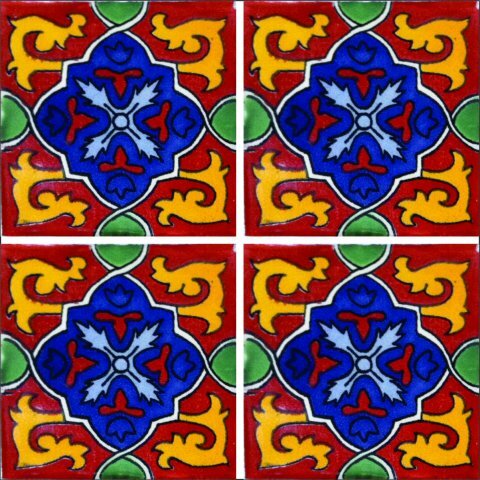 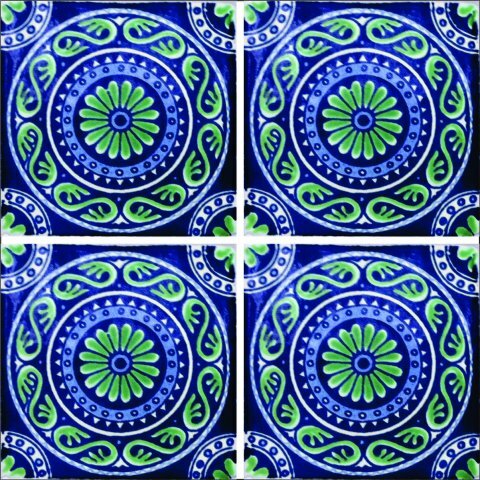 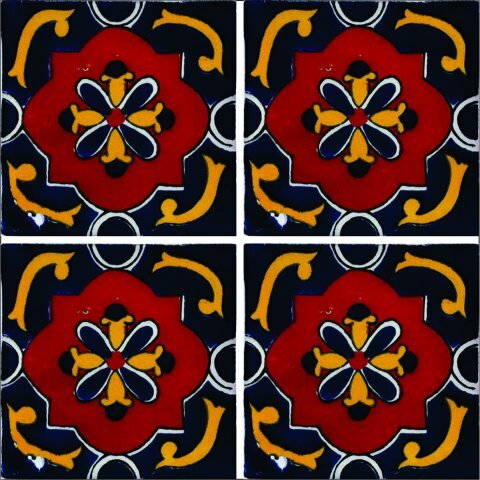 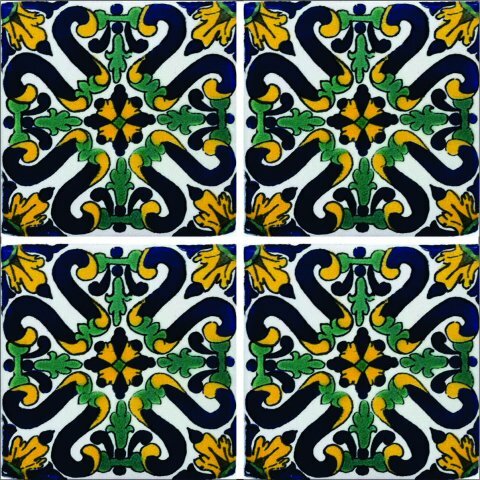 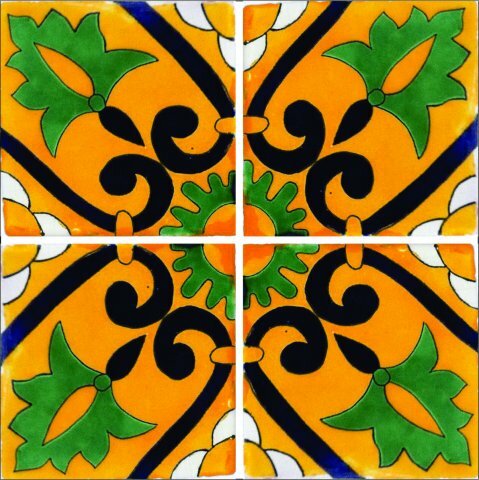 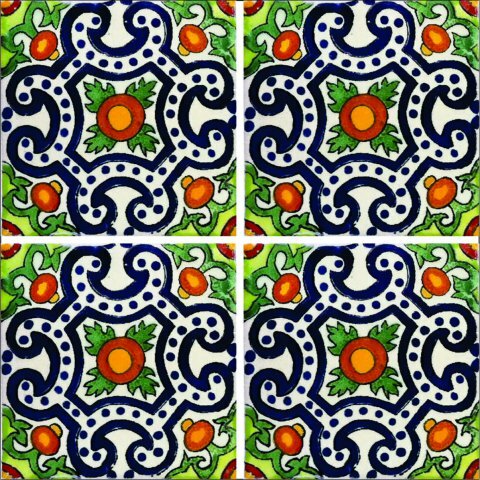 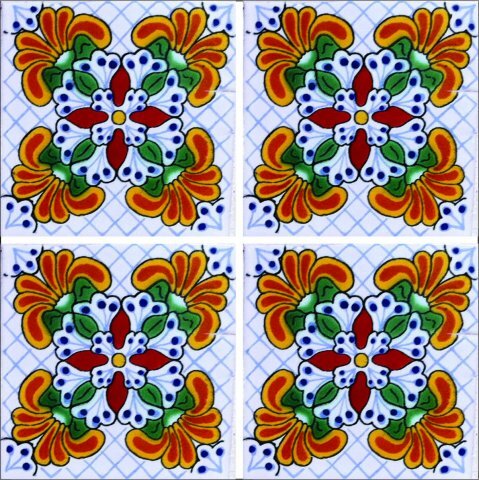 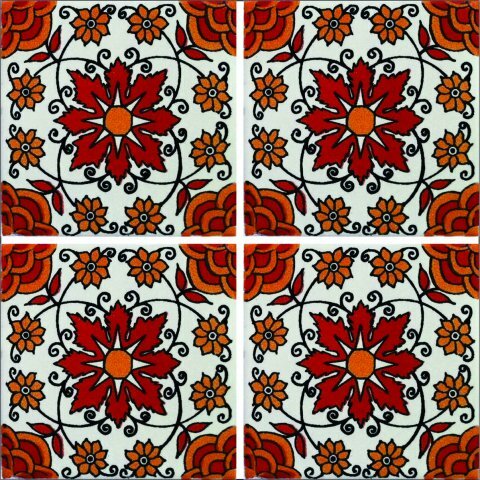 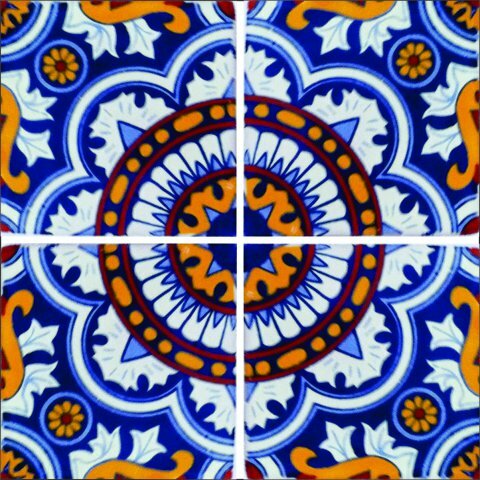 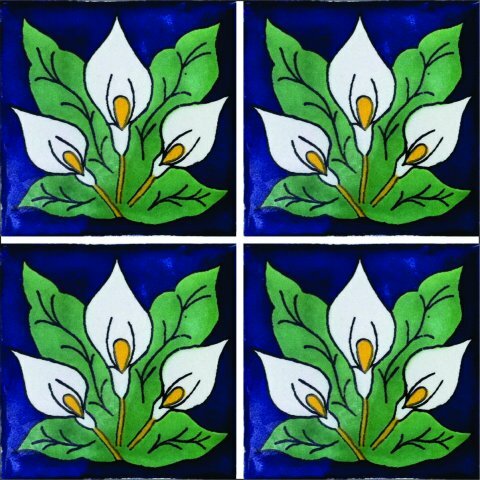 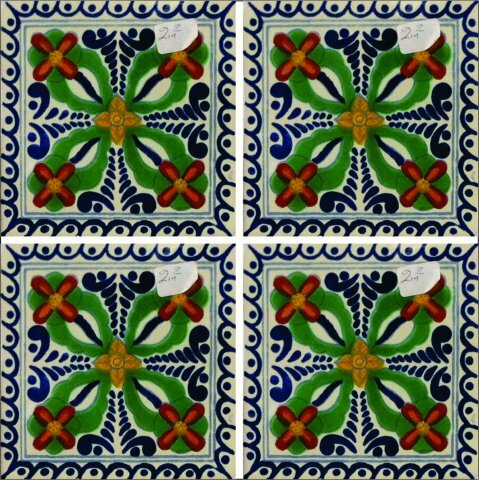 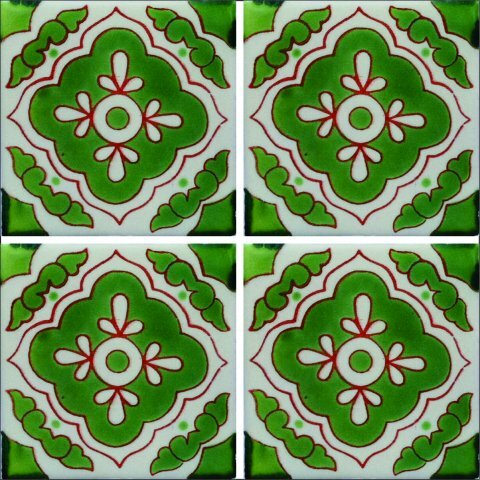 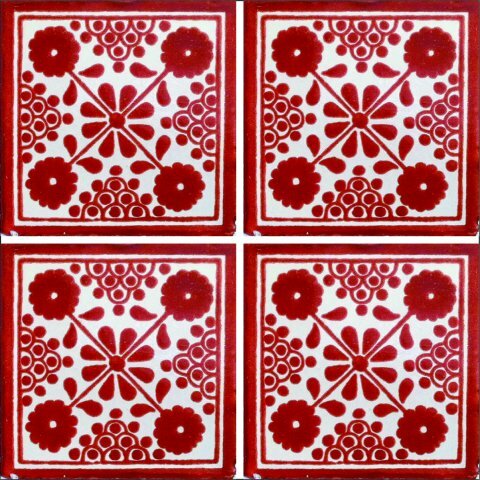 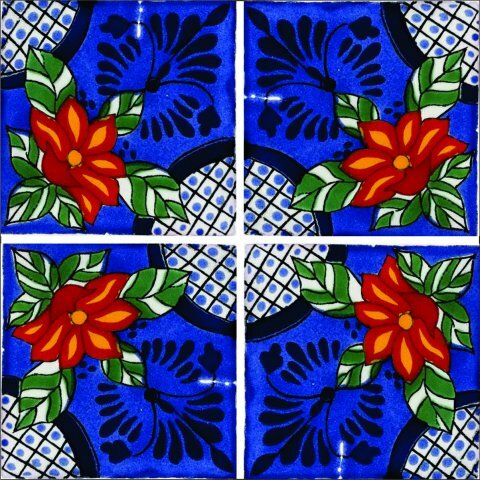 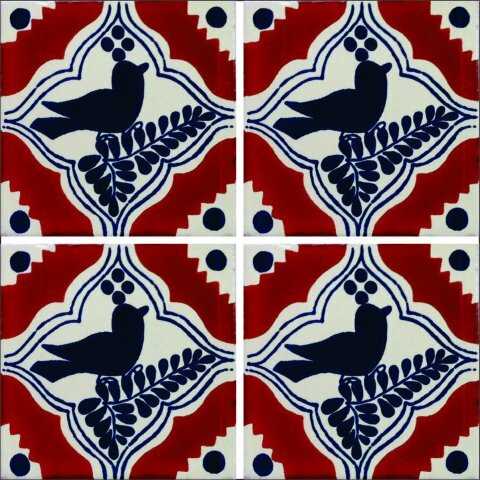 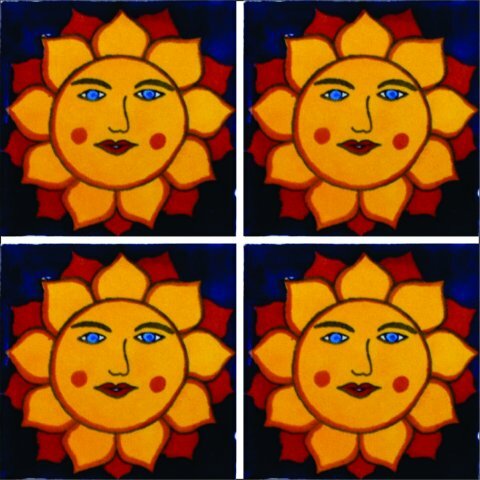 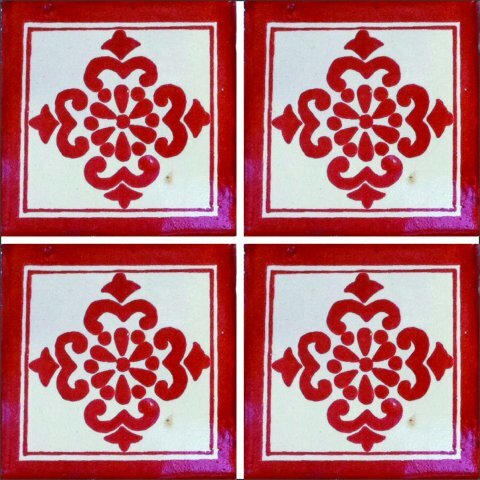 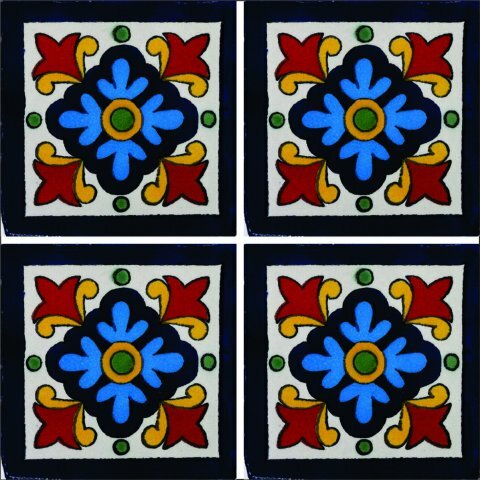 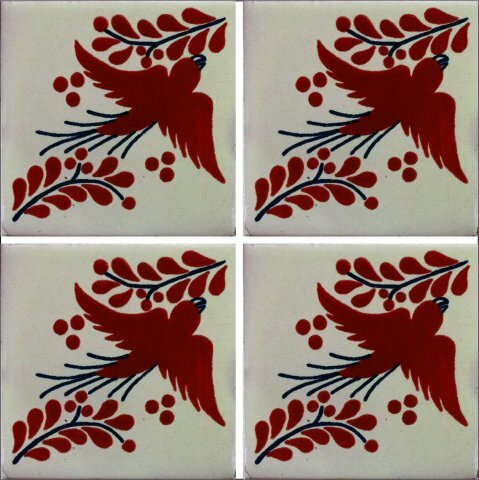 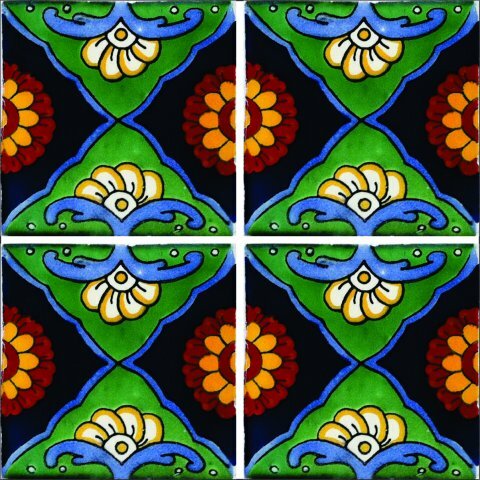 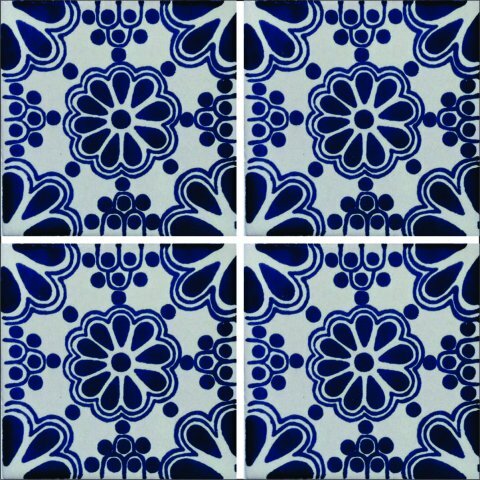 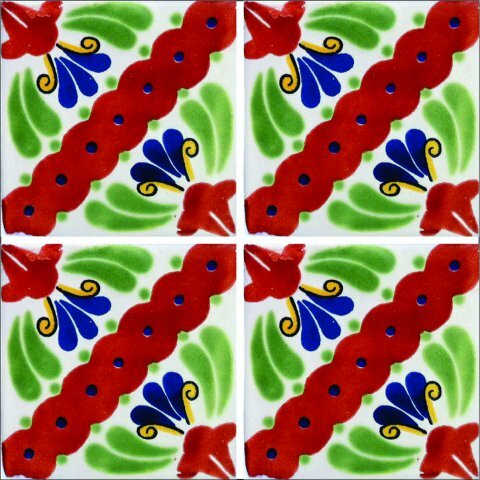 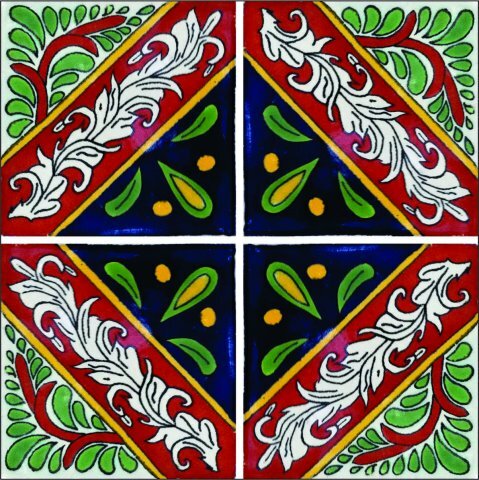 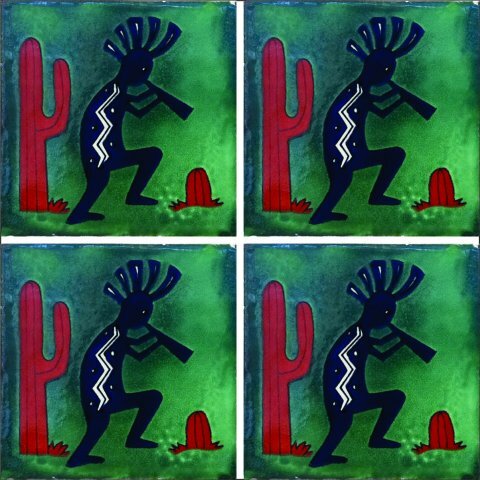 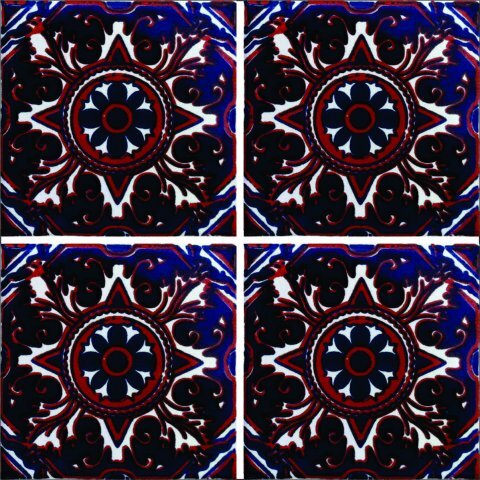 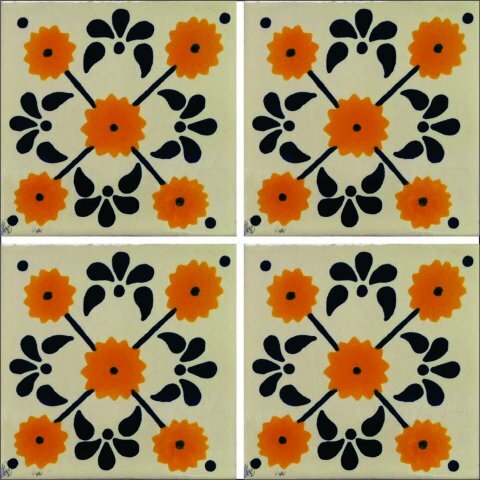 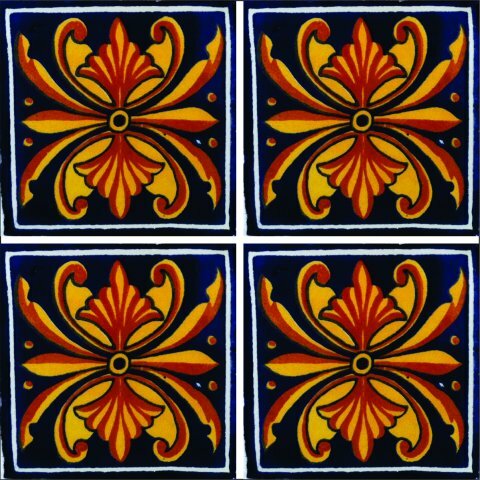 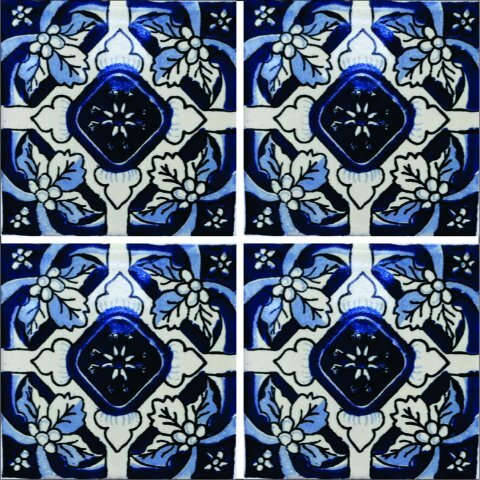 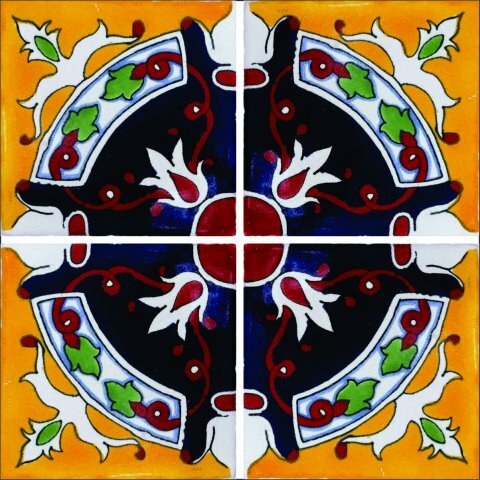 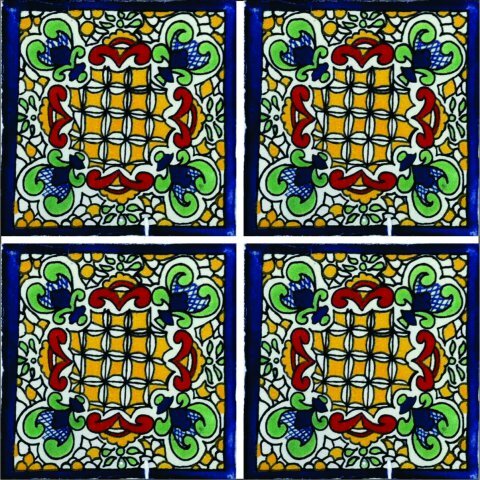 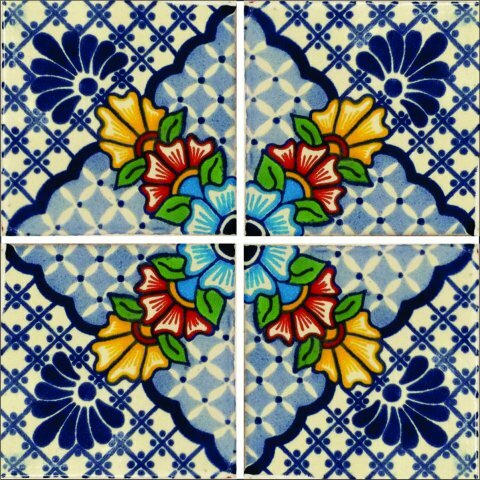 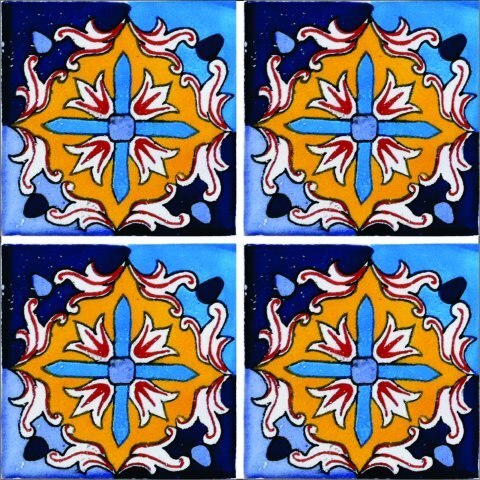 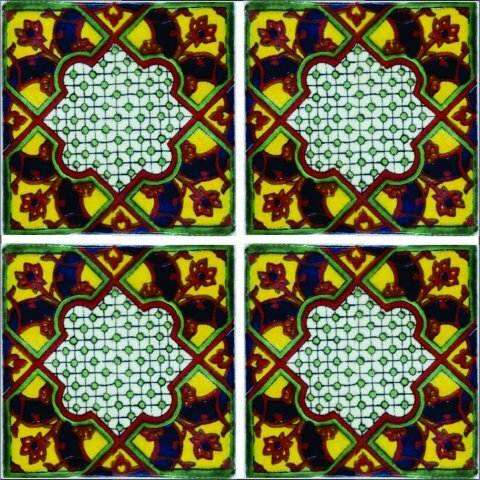 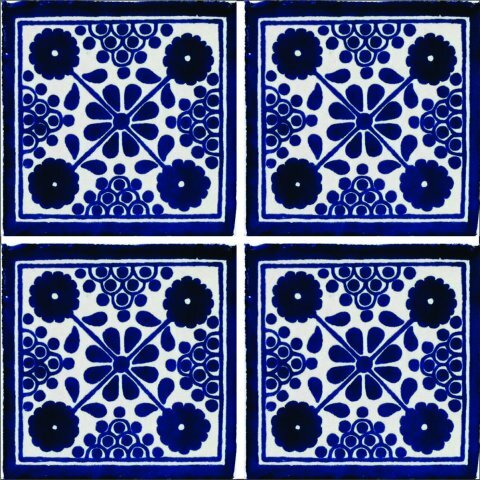 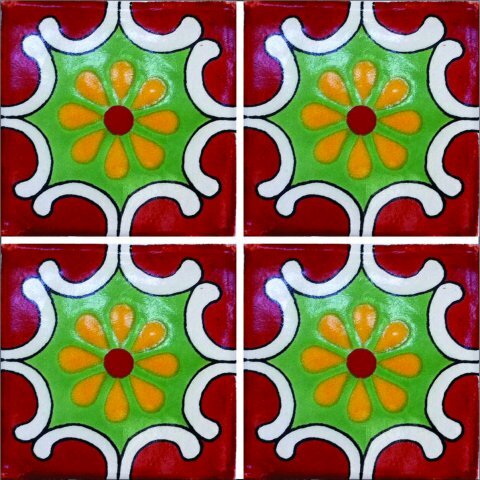 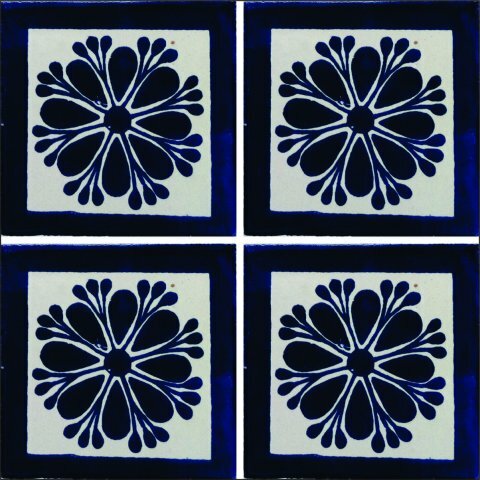 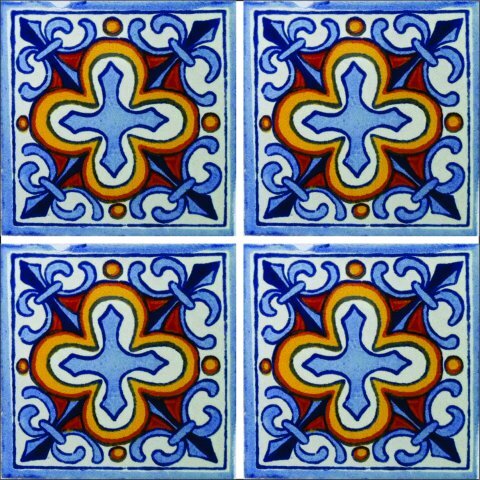 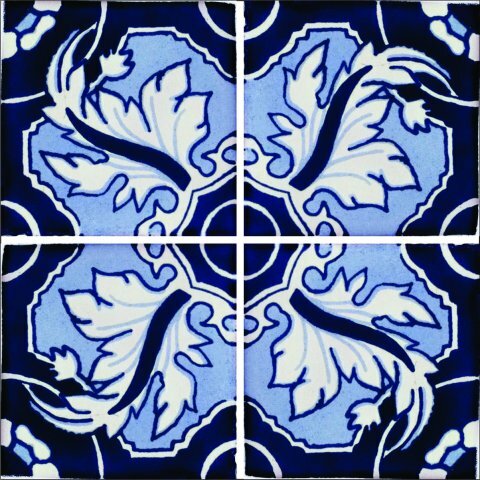 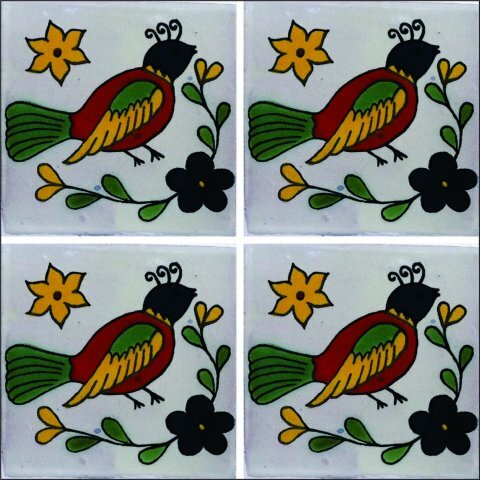 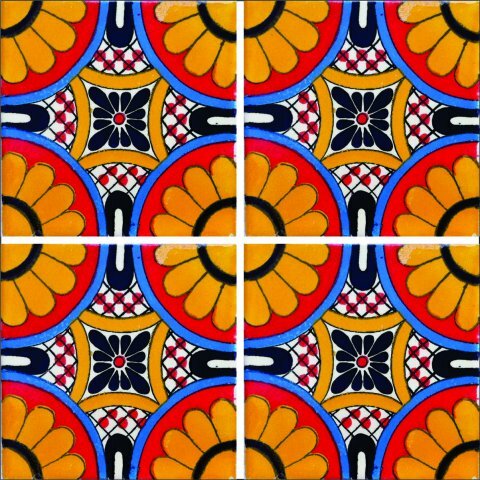 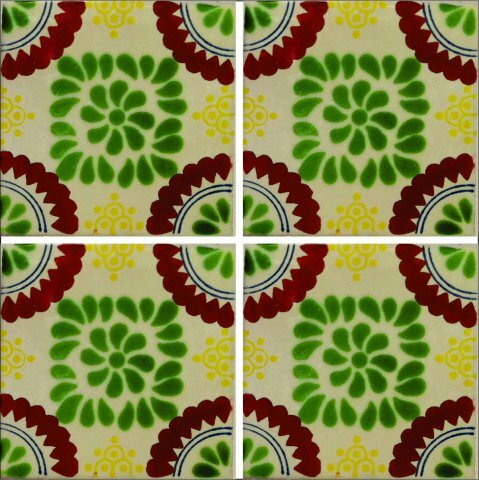 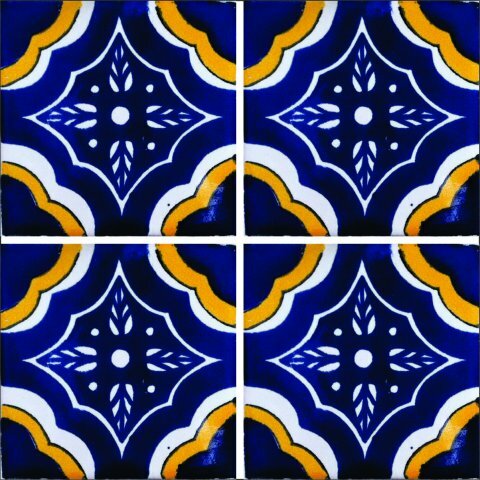 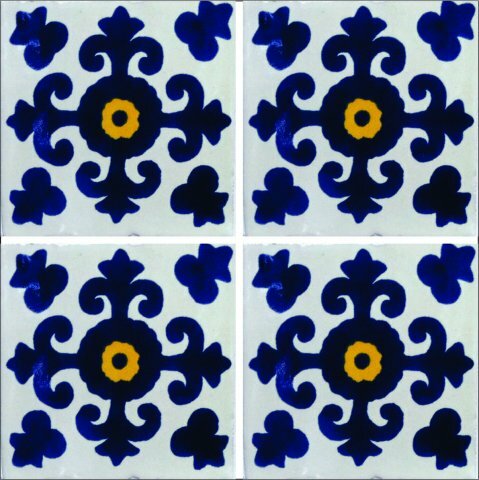 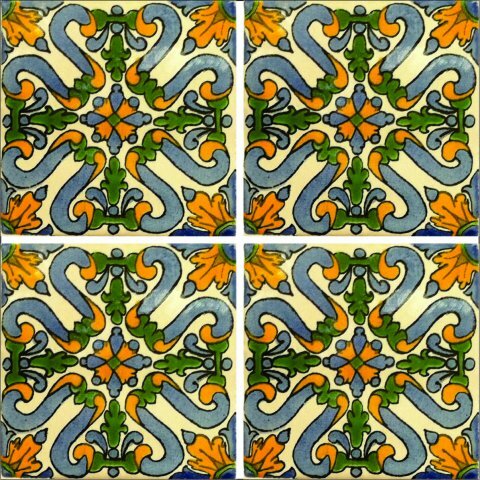 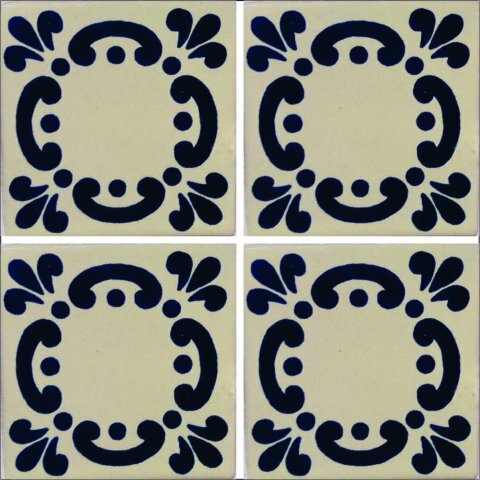 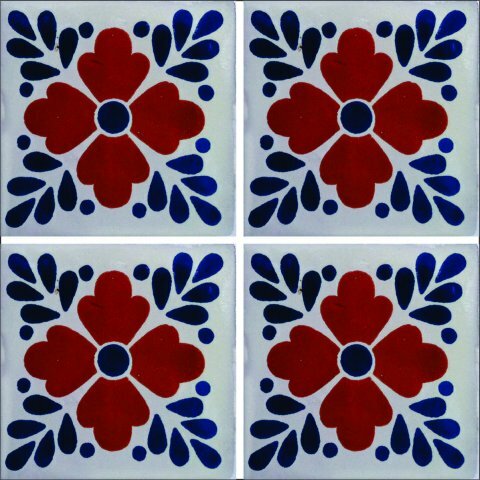 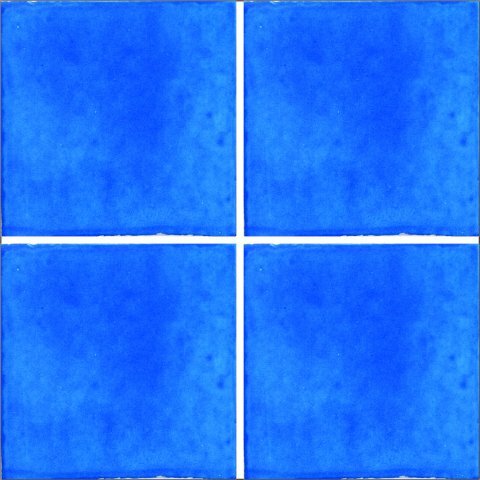 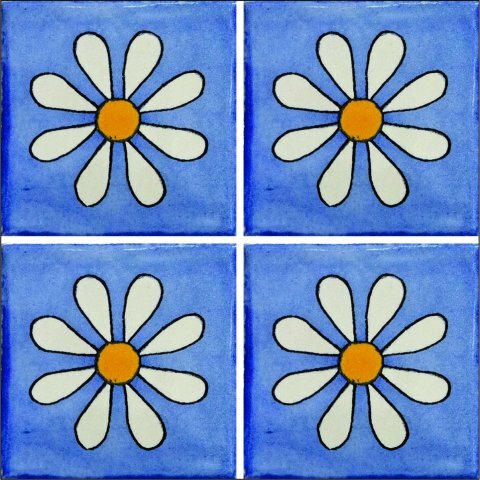 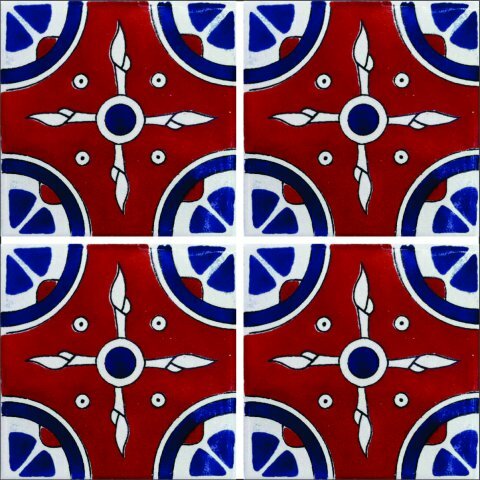 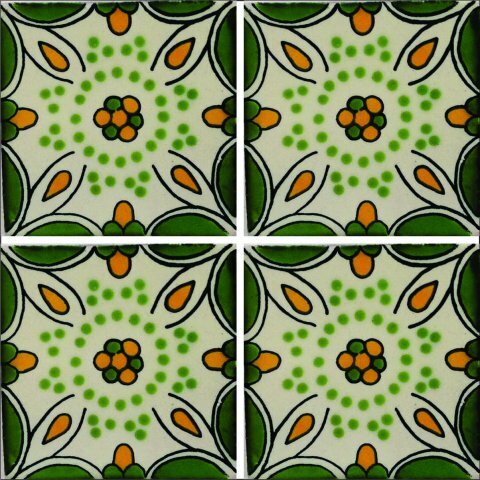 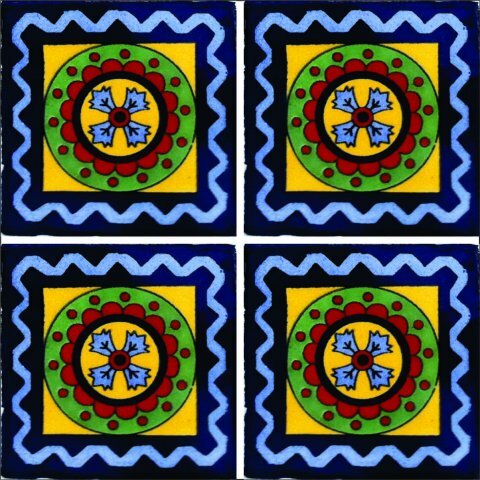 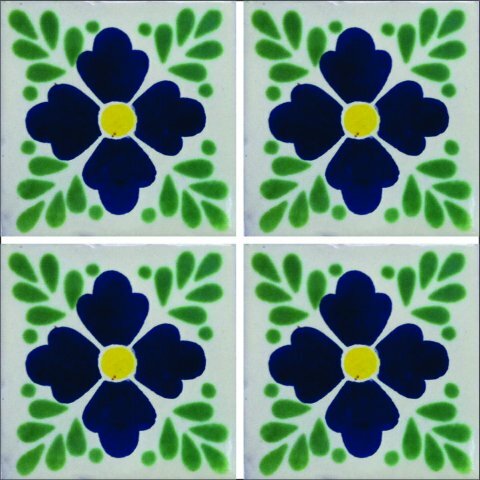 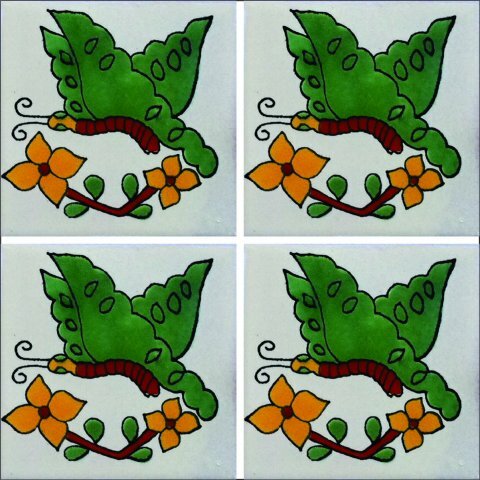 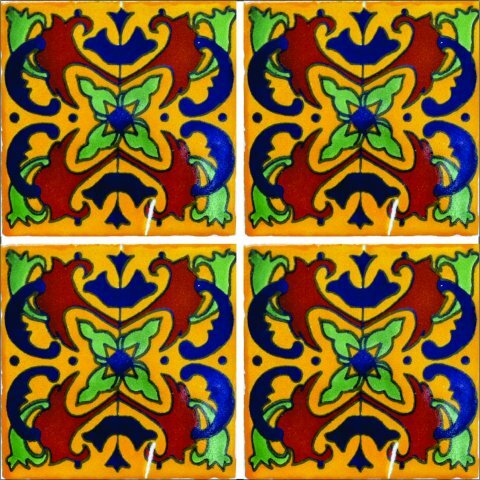 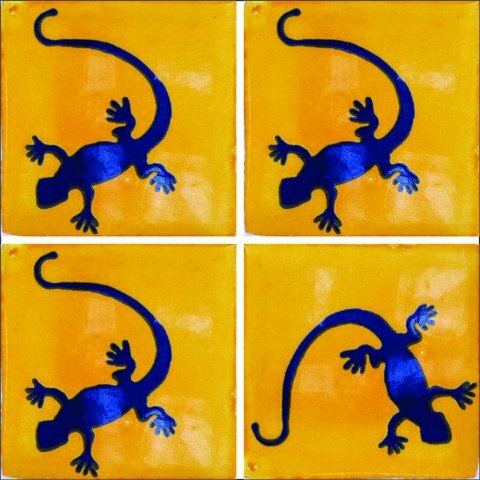 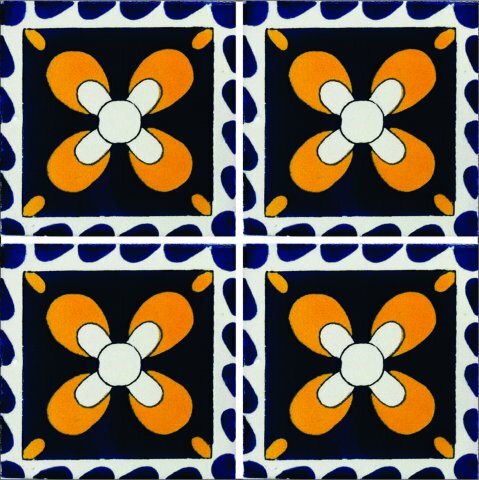 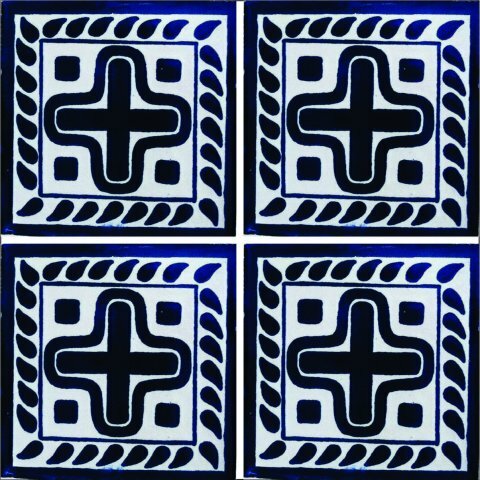 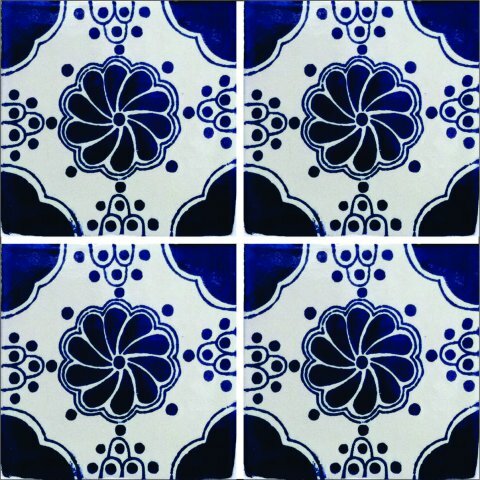 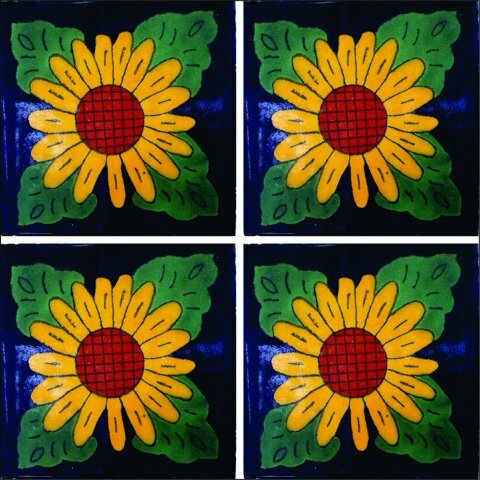 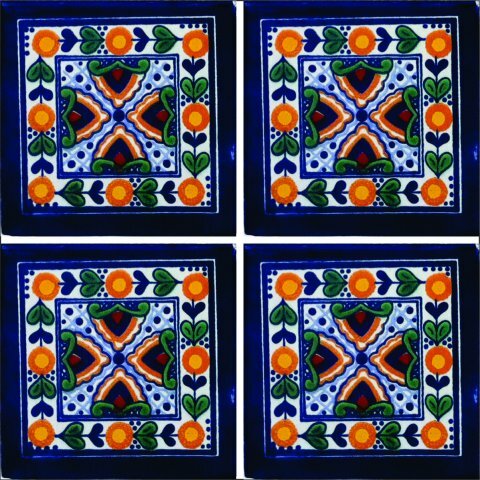 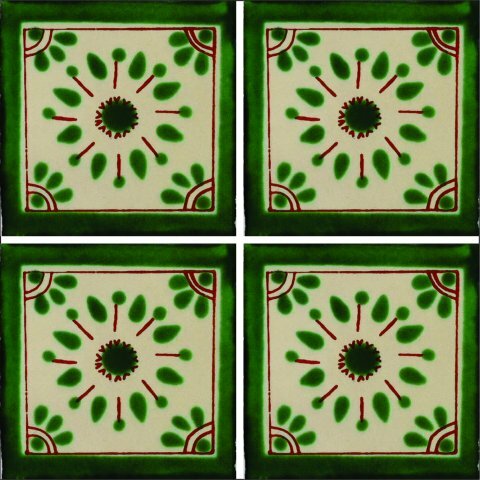 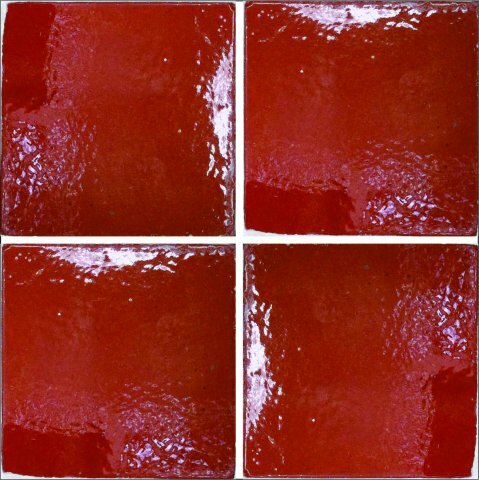 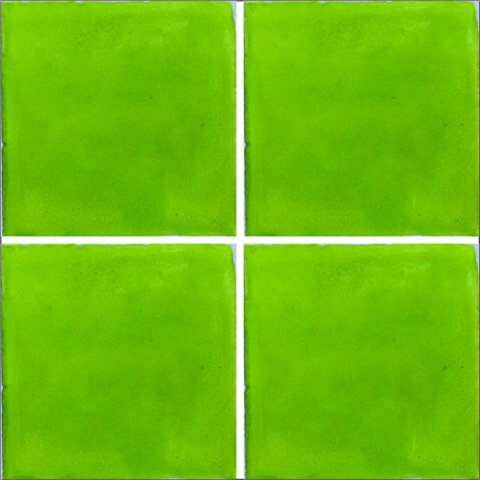 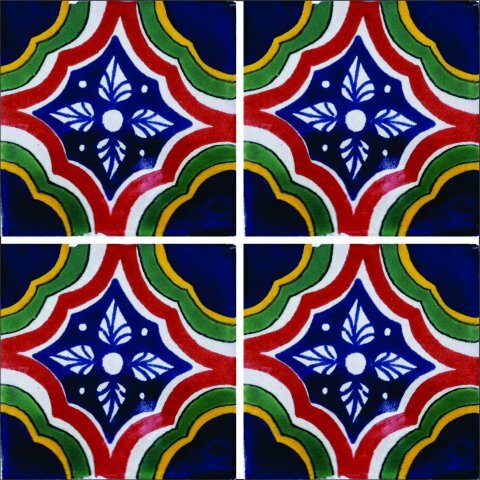 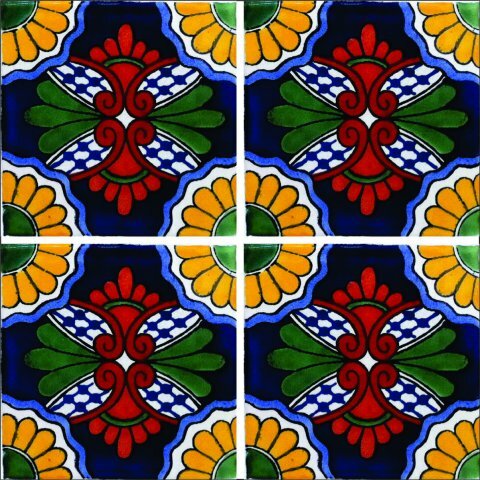 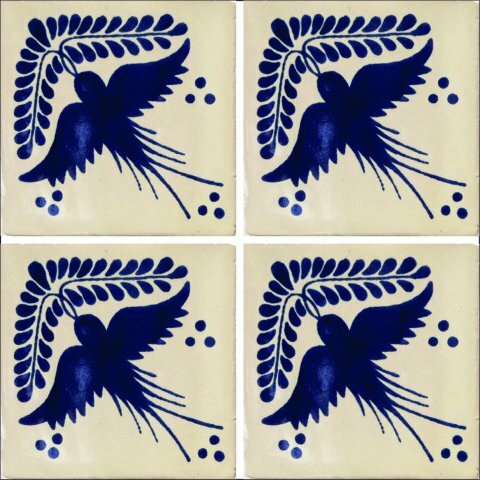 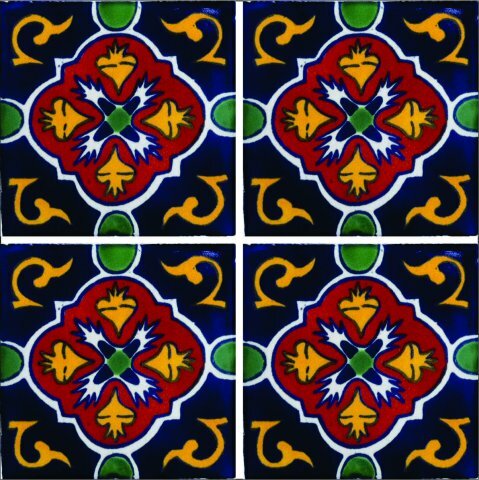 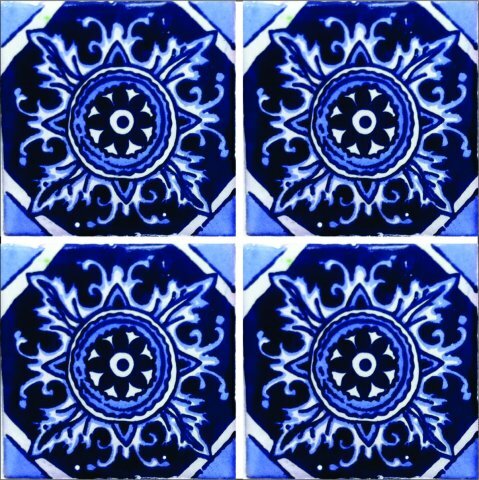 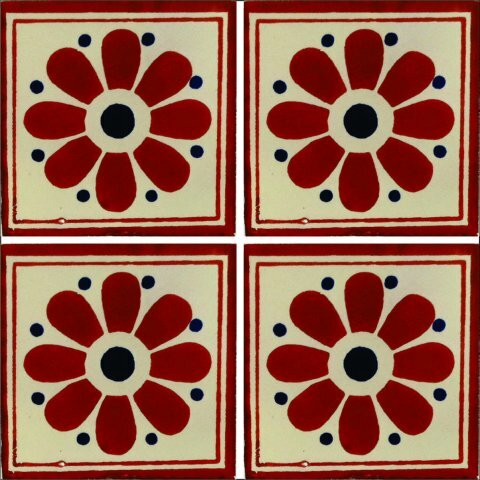 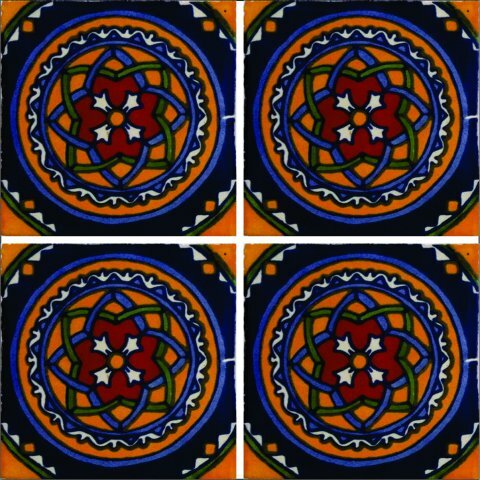 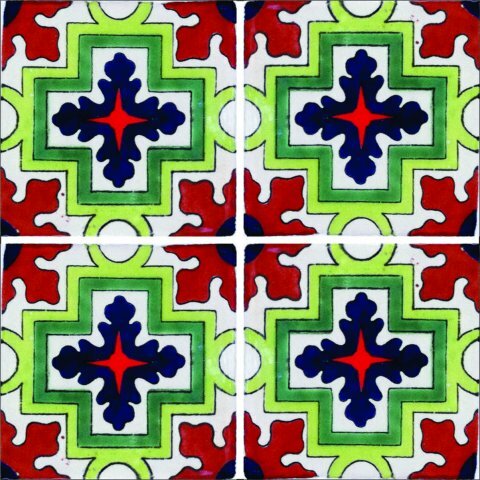 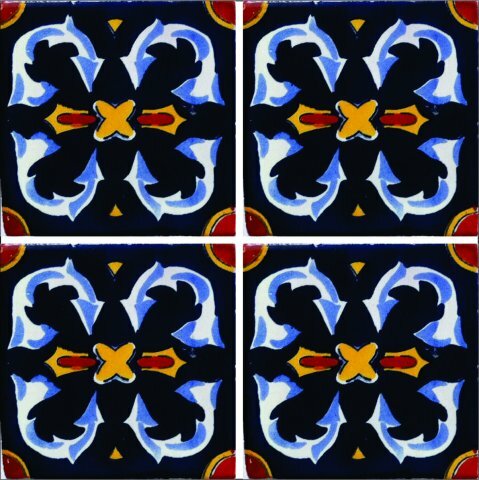 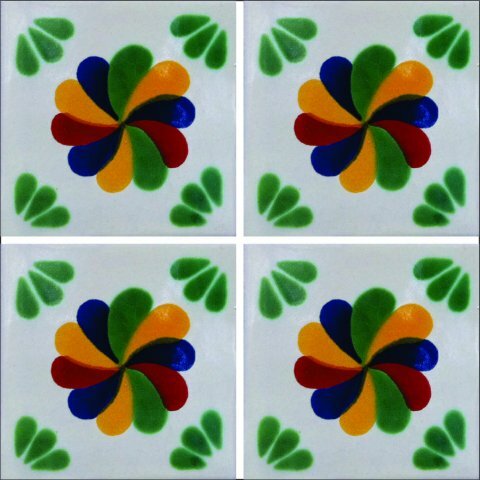 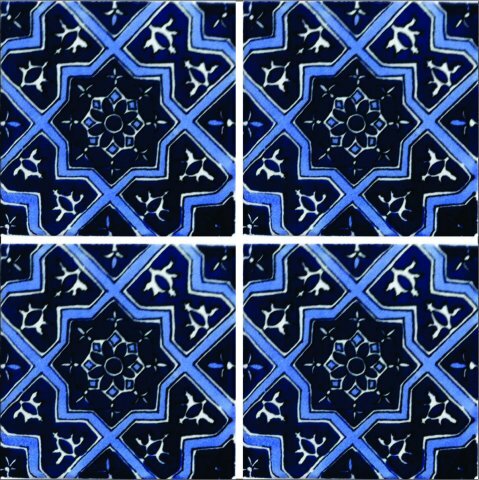 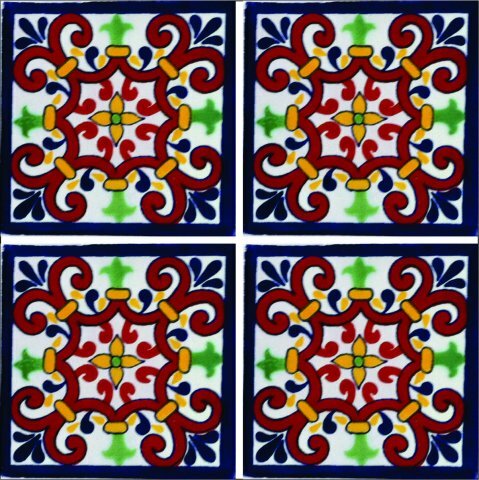 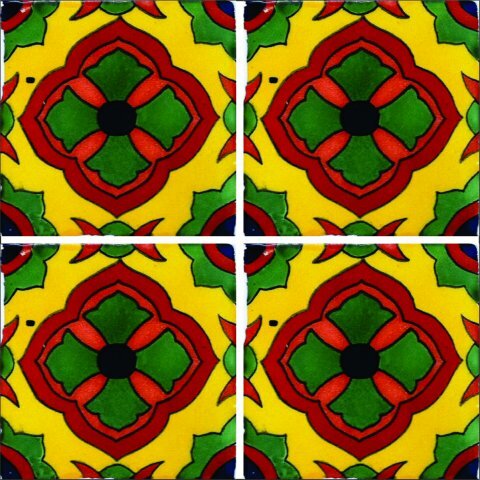 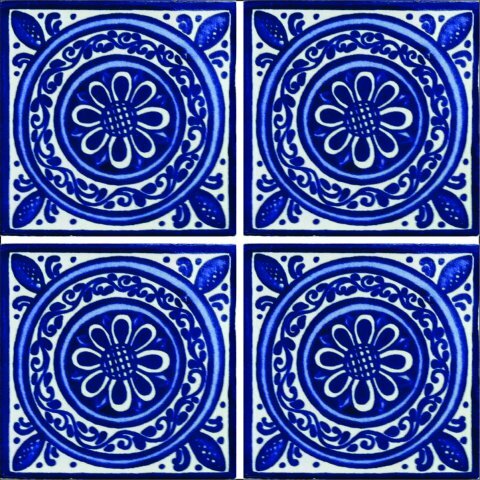 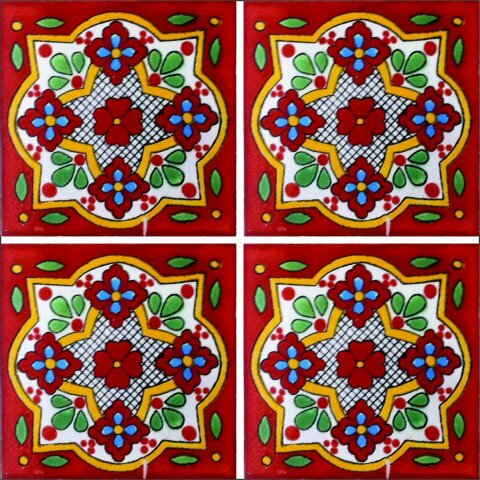 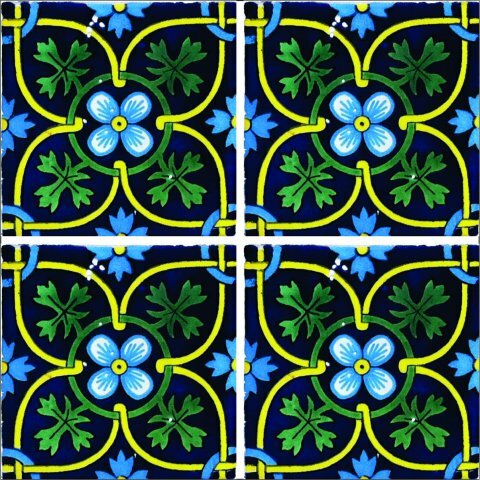 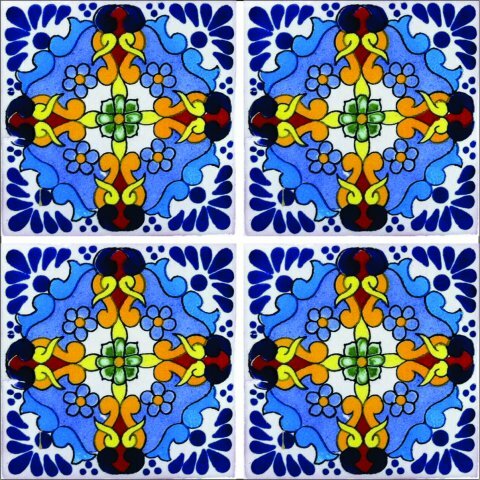 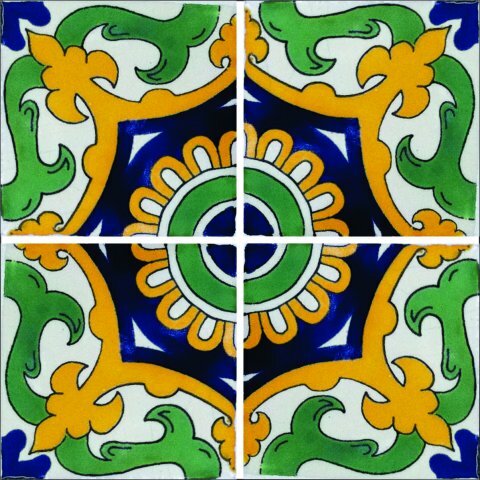 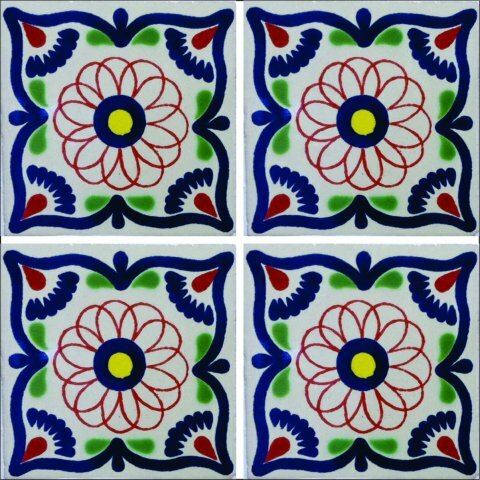 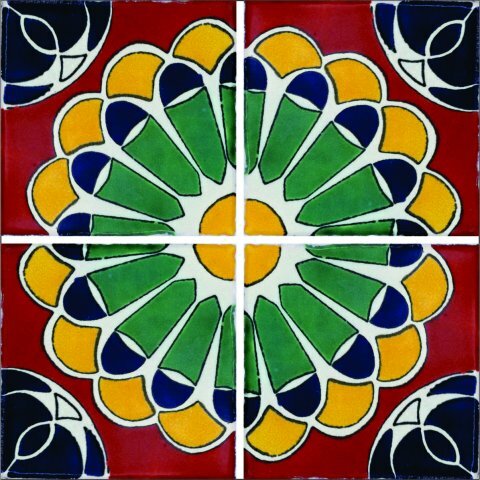 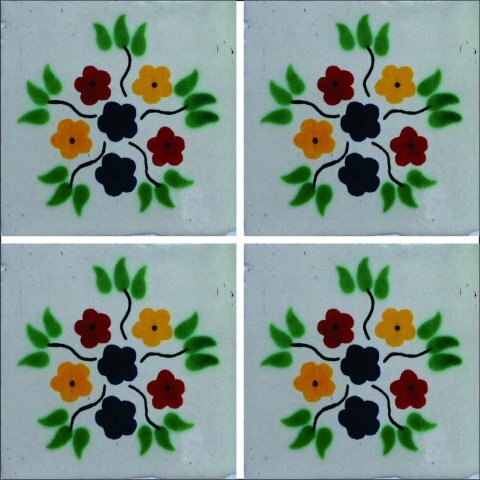 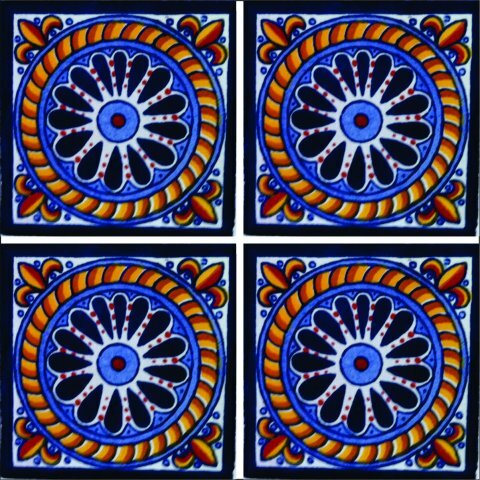 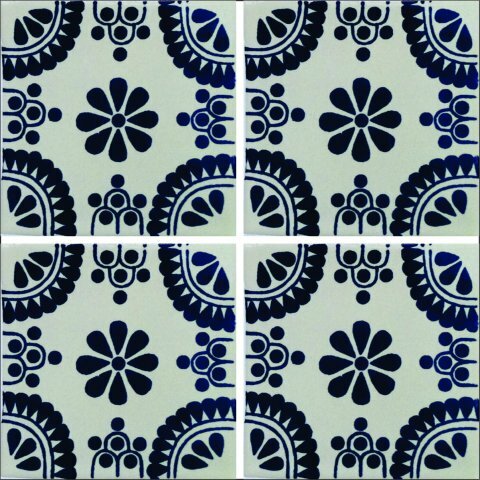 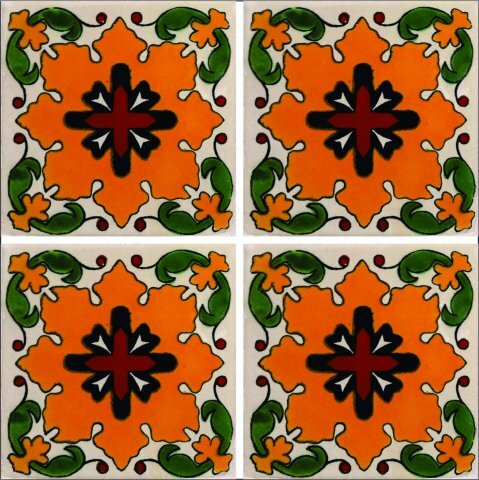 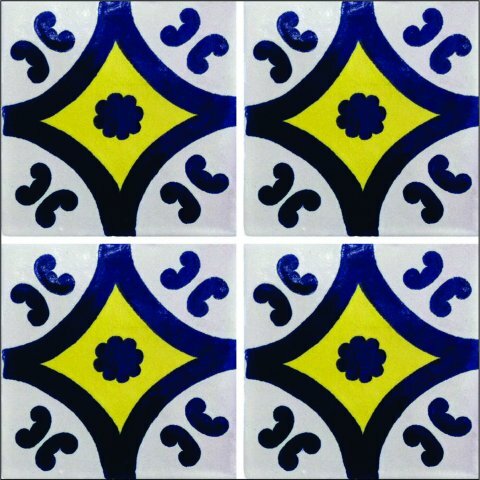 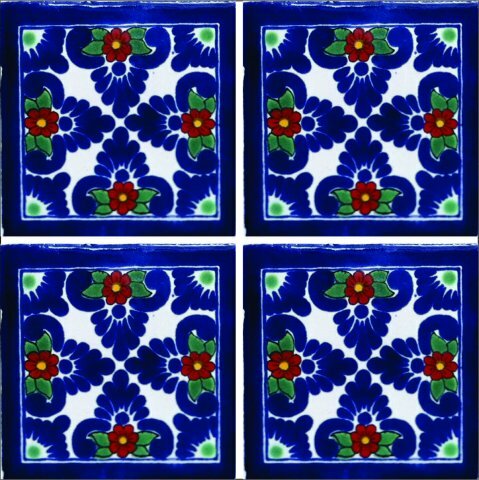 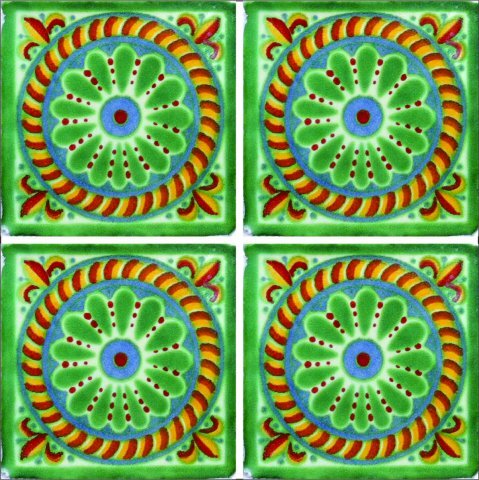 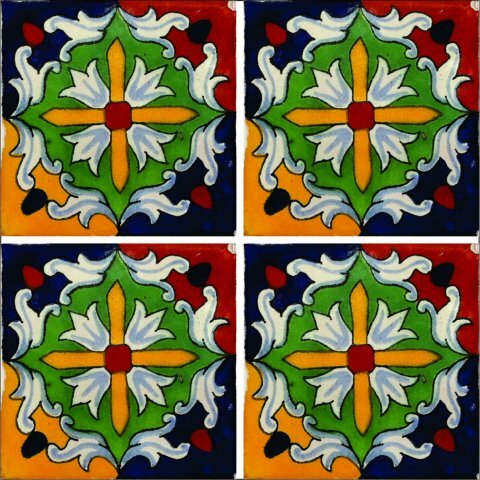 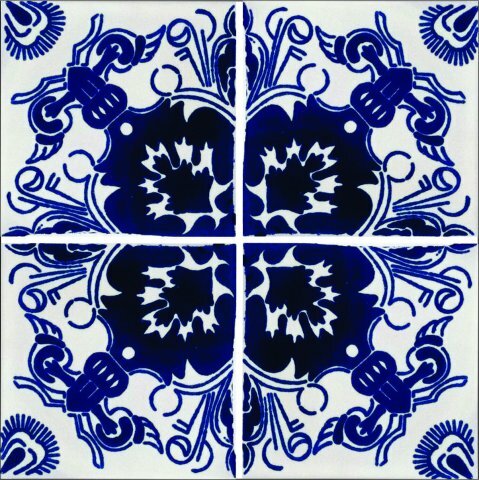 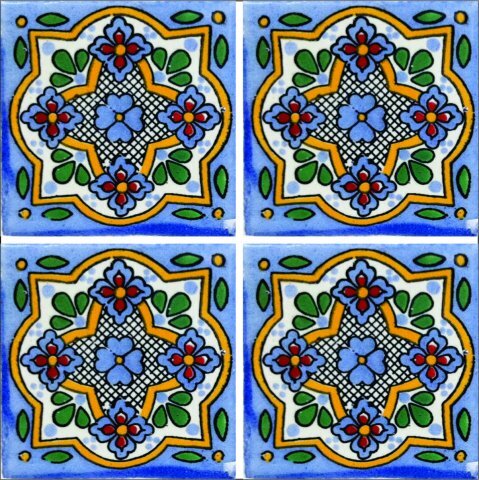 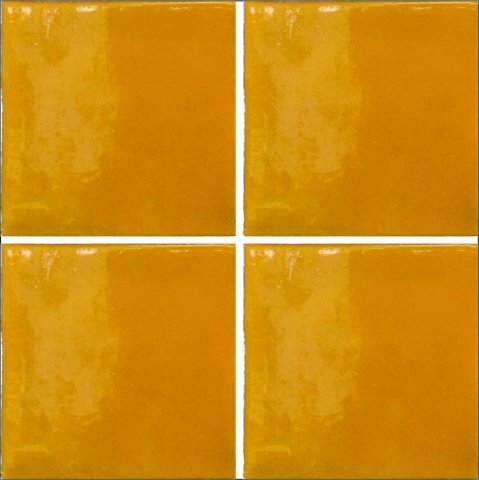 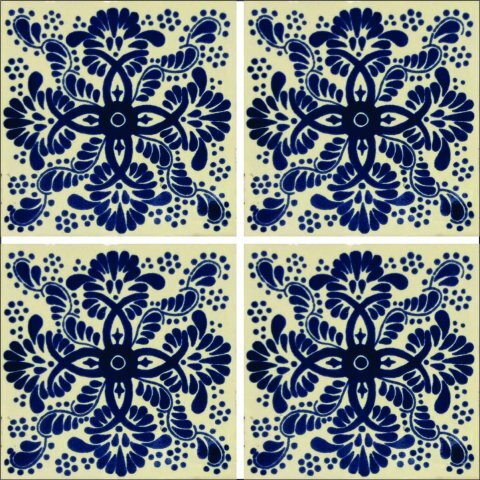 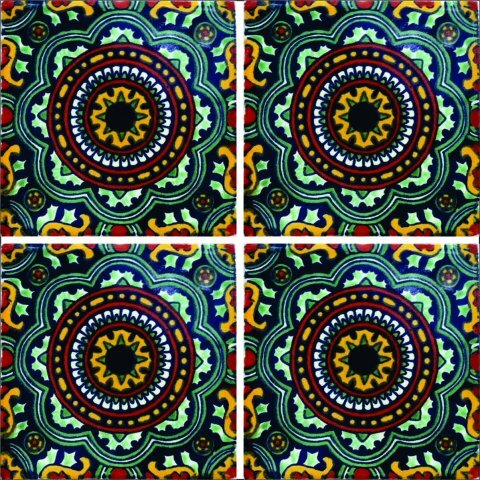 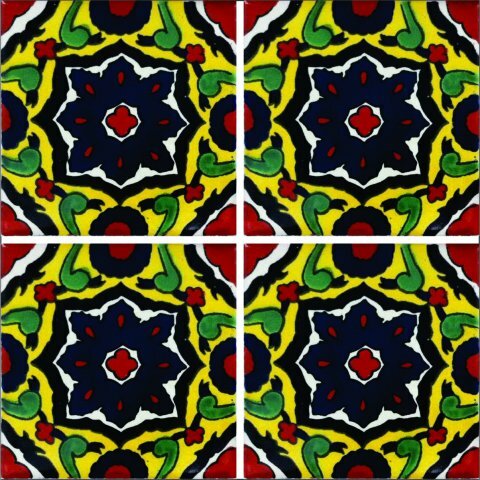 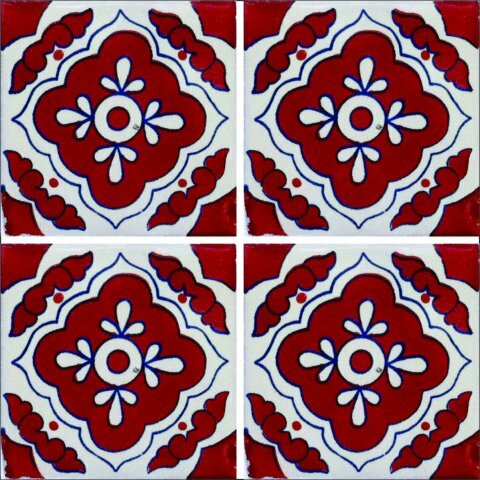 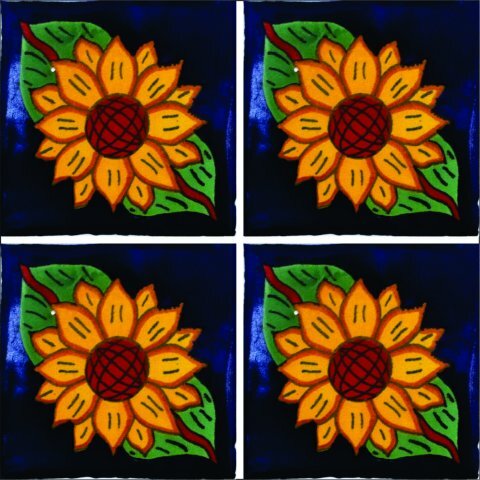 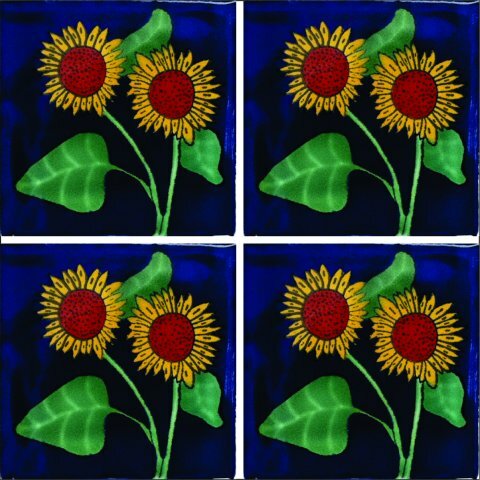 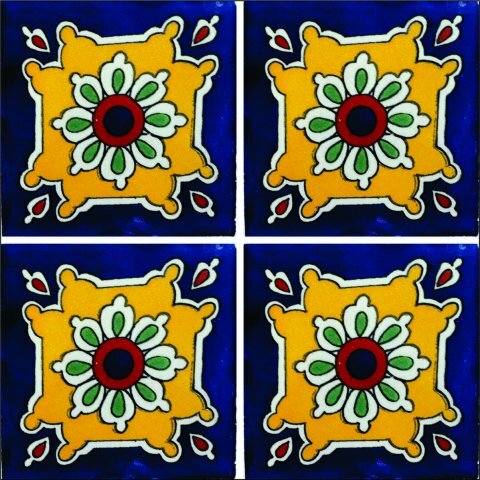 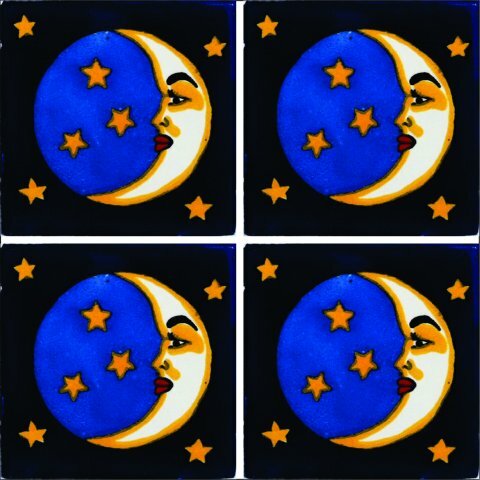 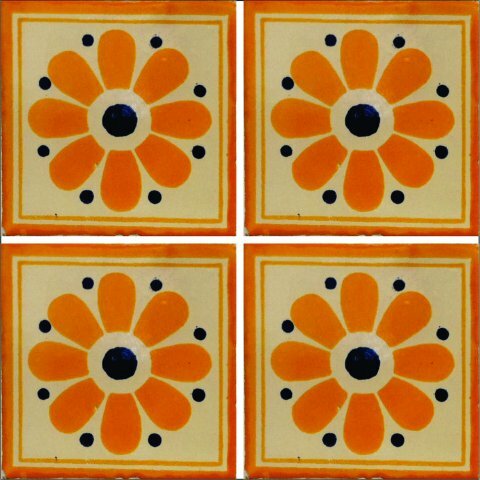 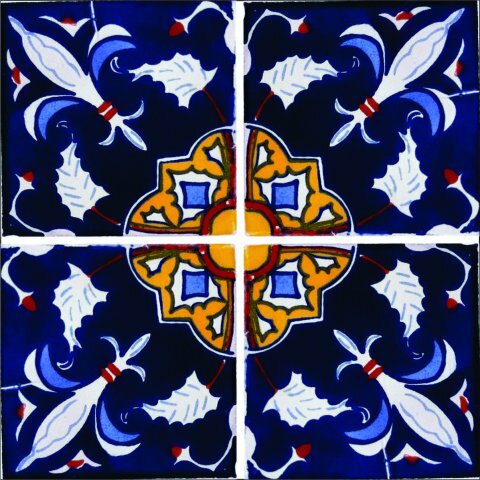 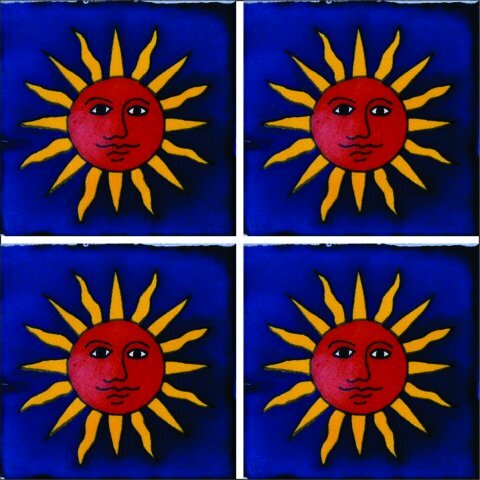 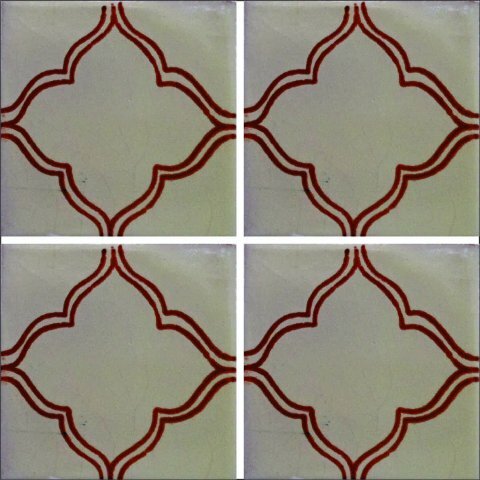 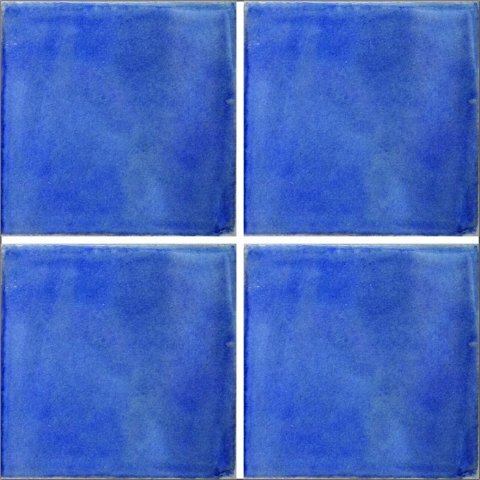 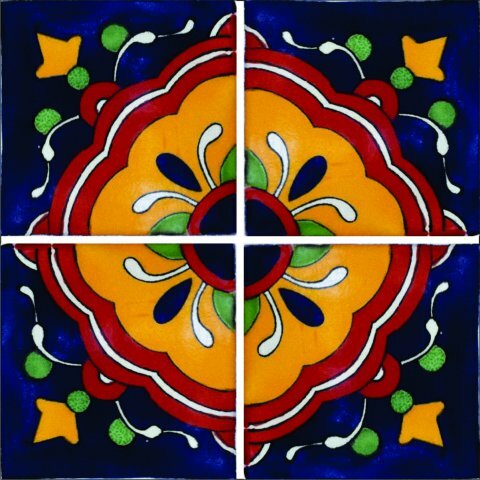 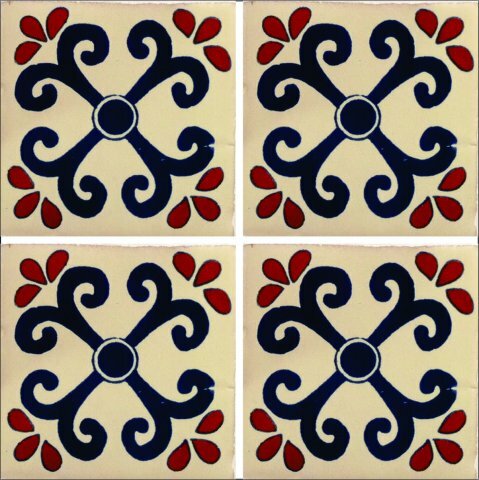 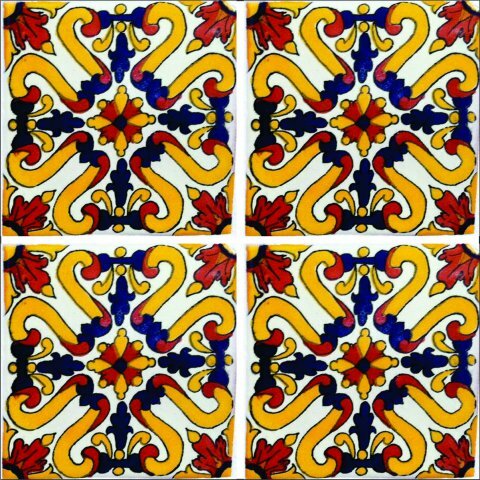 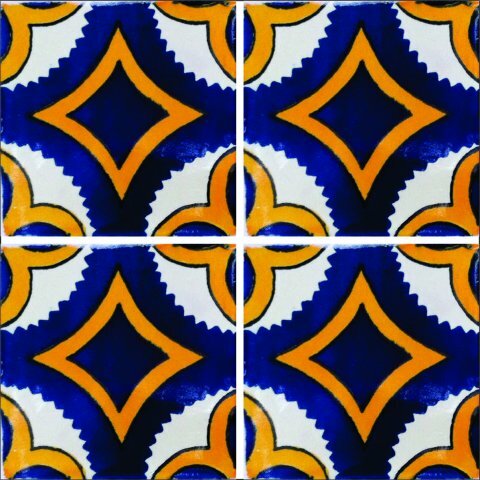 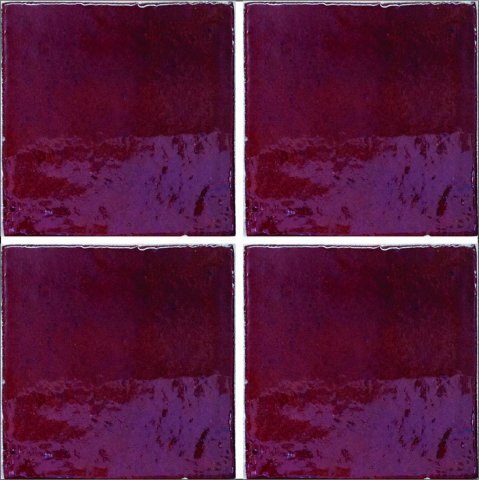 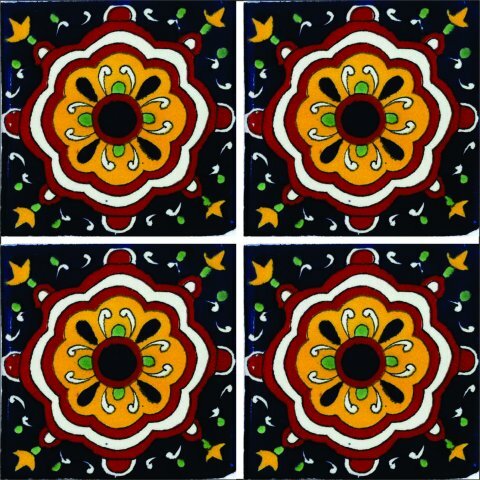 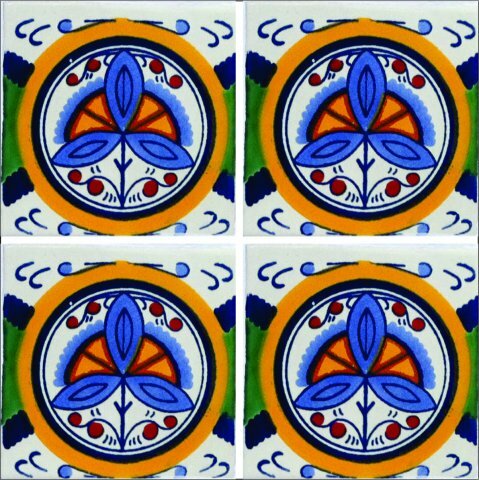 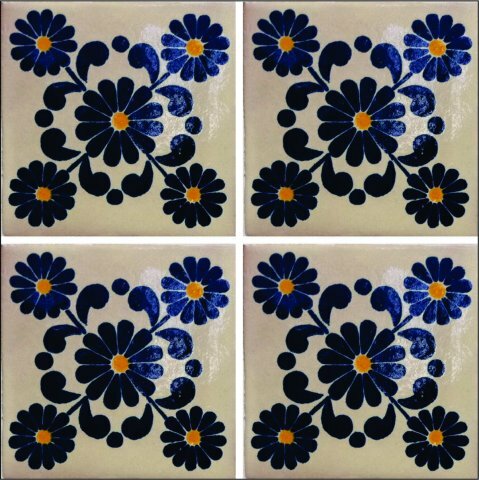 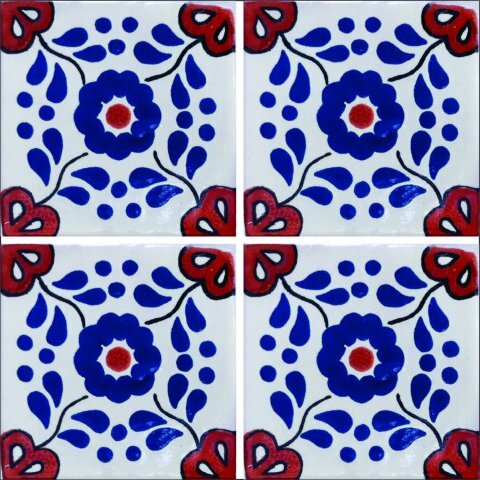 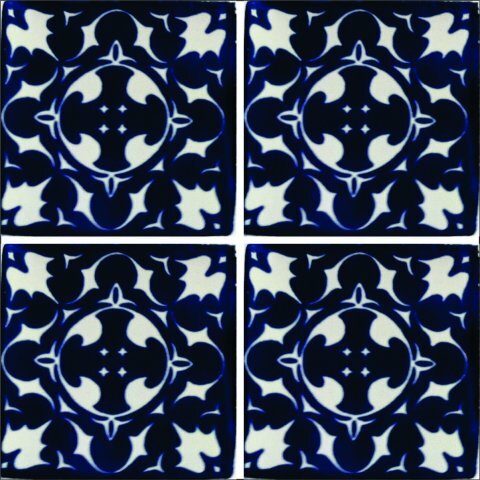 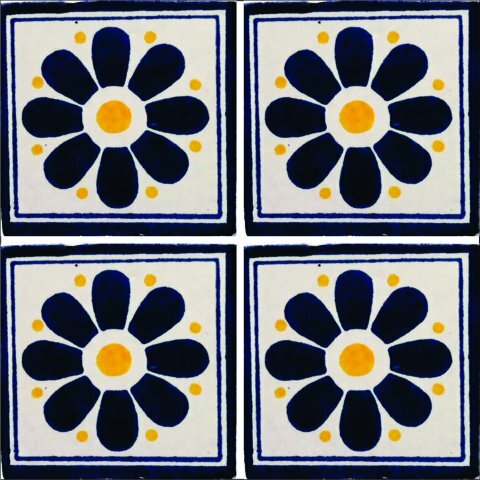 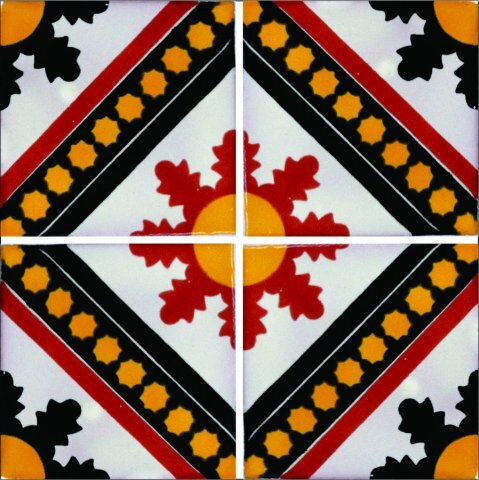 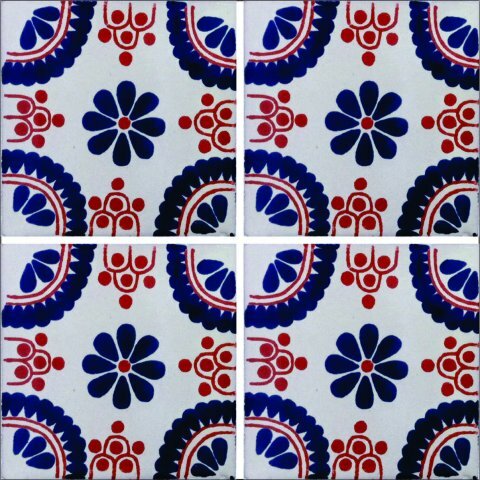 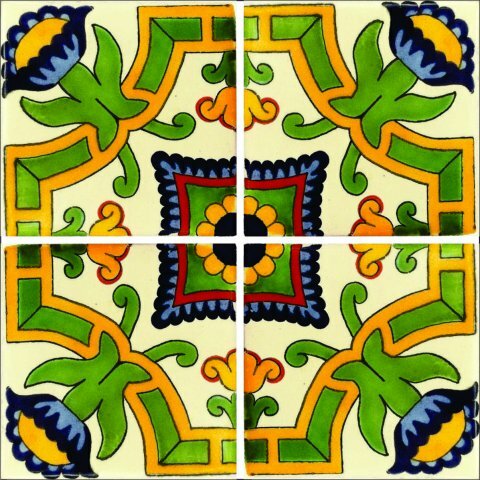 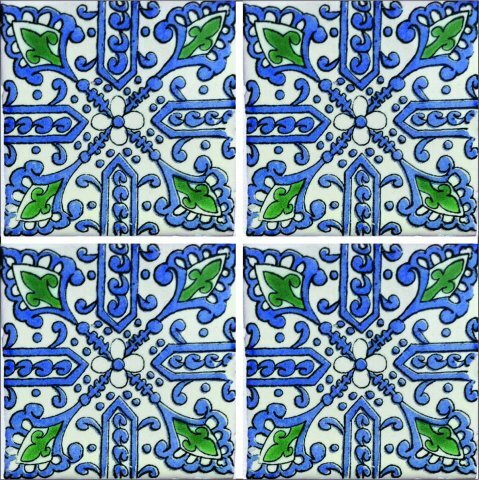 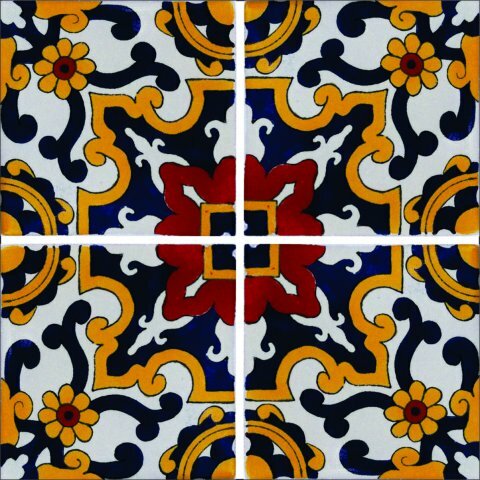 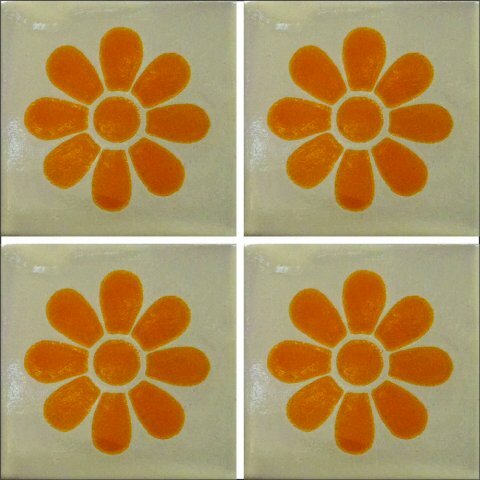 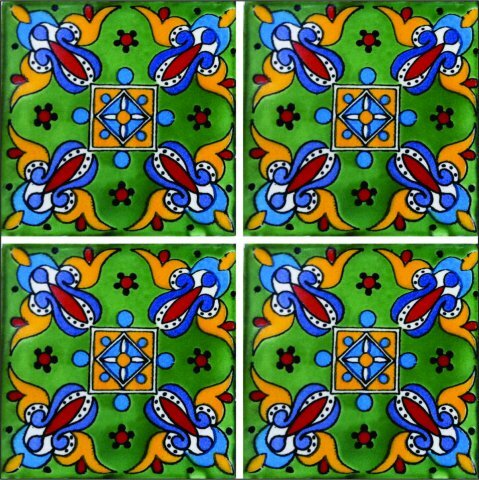 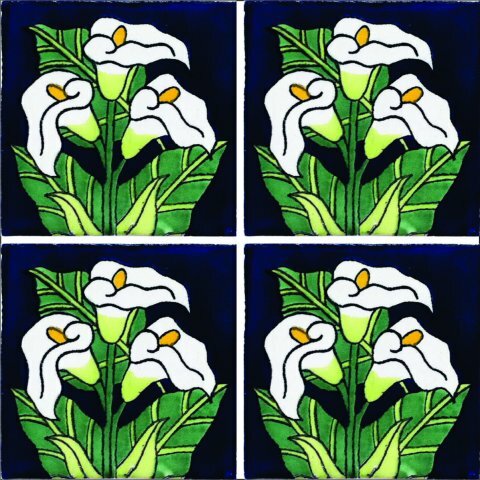 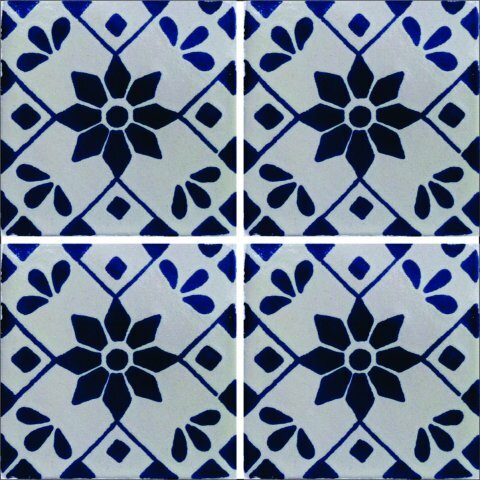 These beatiful handpainted Mexican Talavera tiles will give a colorful decorative touch to your bathrooms, vanities, window surrounds, fireplaces and more. 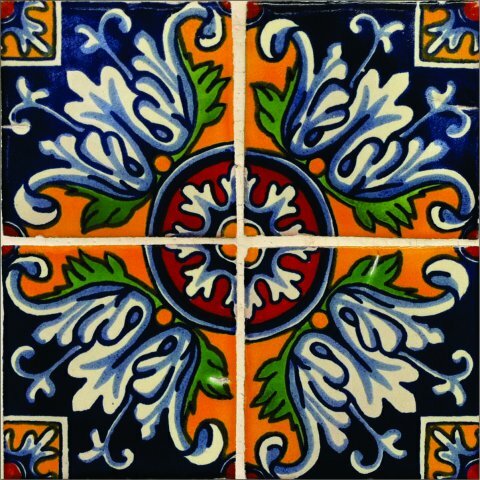 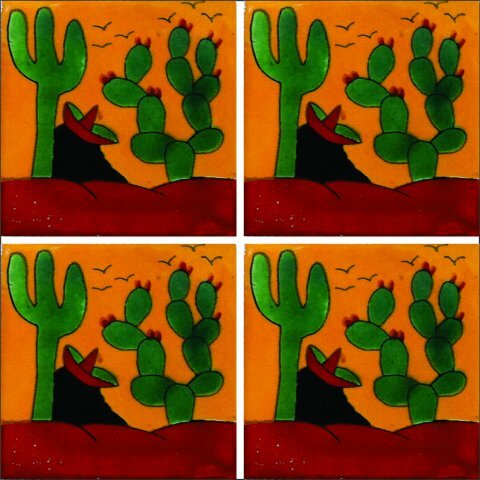 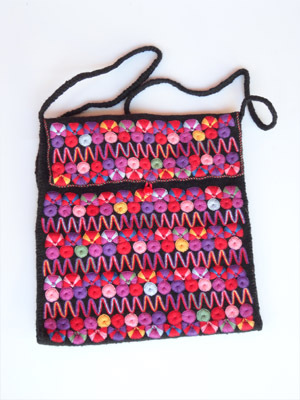 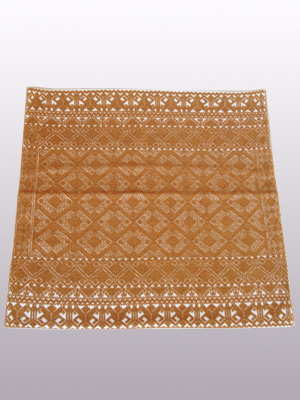 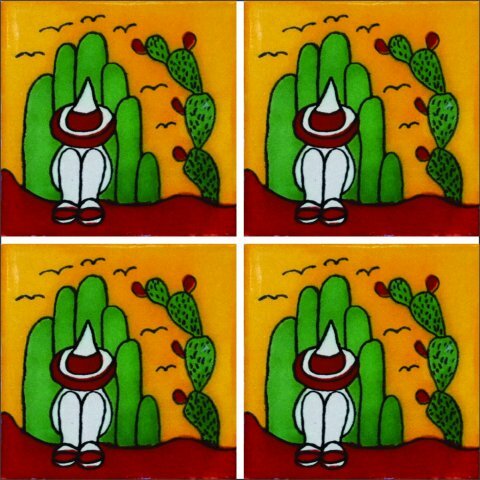 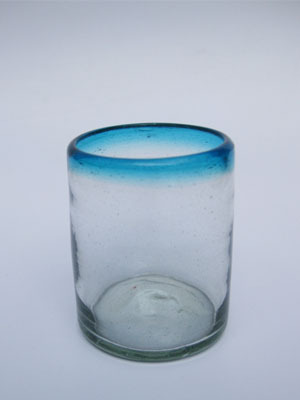 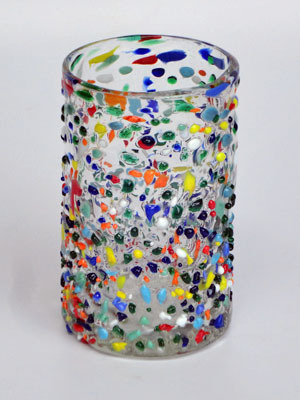 Hand crafted and hand painted by an artisan in the state of Guanajuato in Mexico. 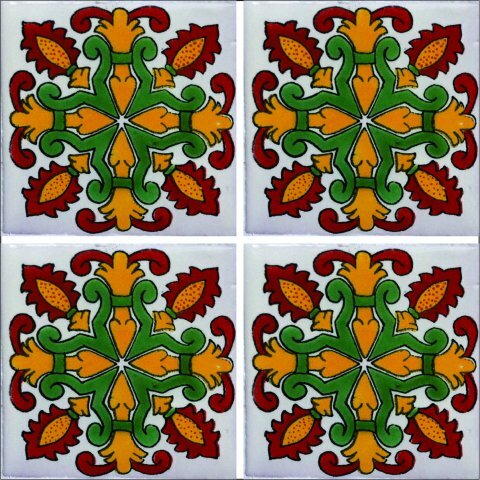 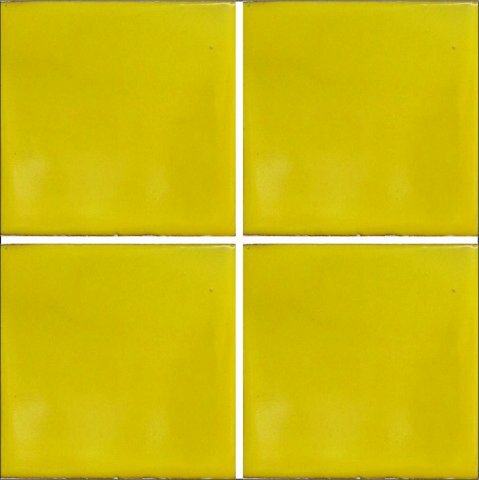 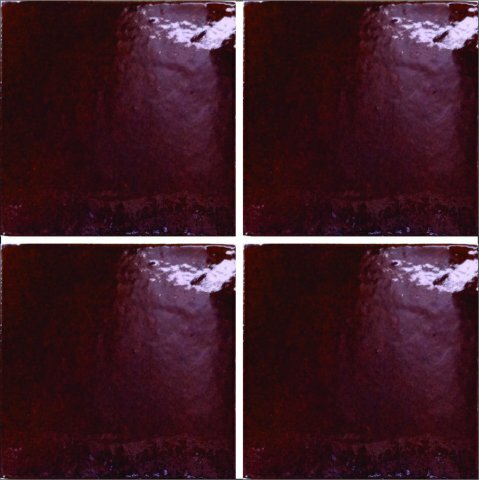 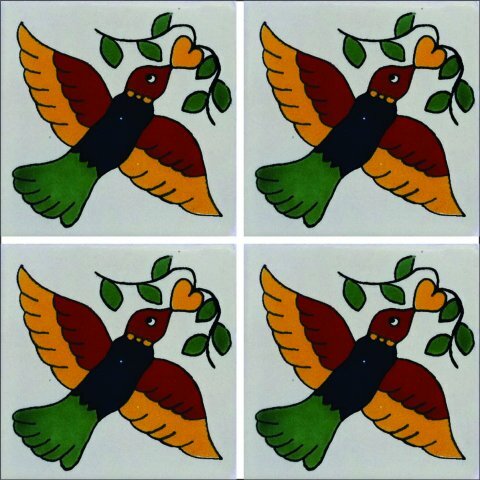 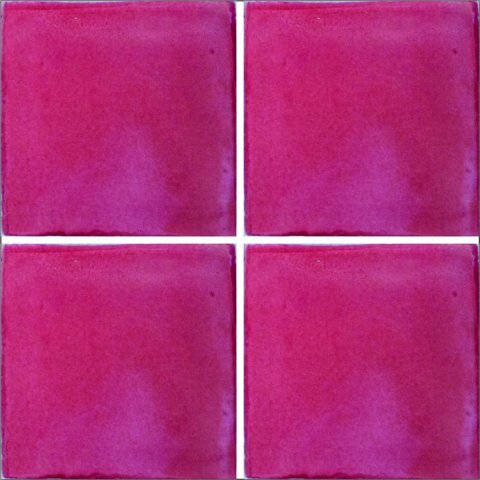 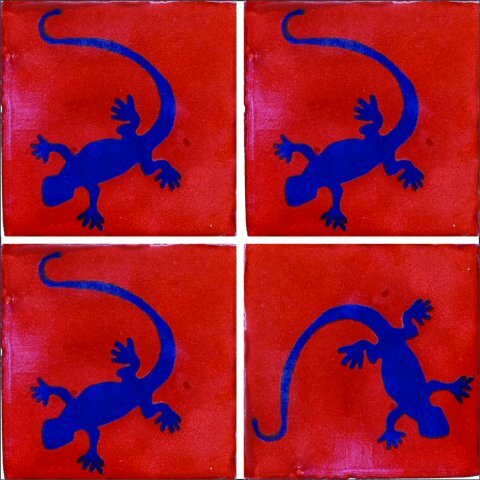 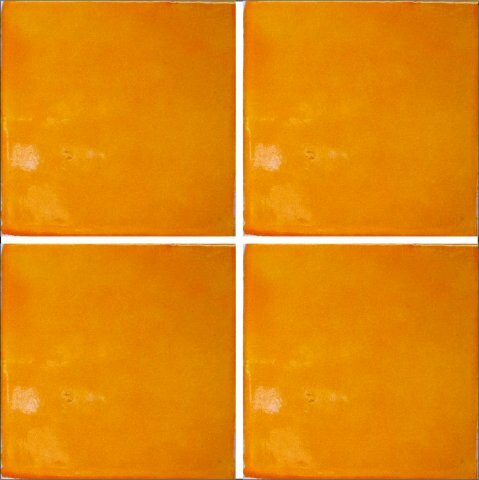 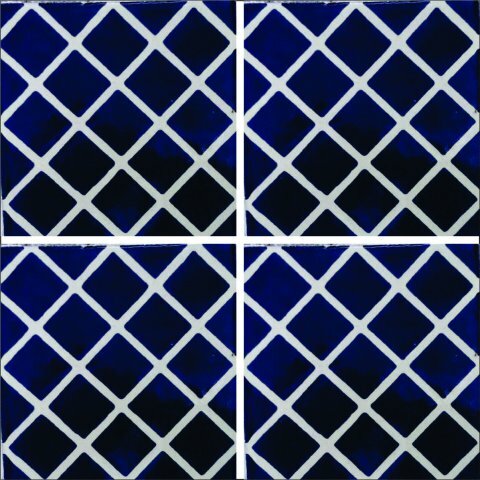 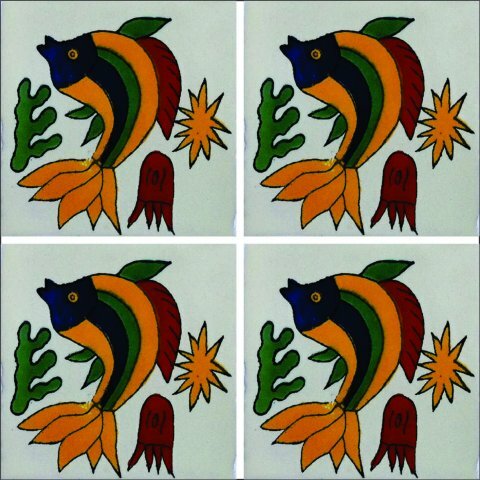 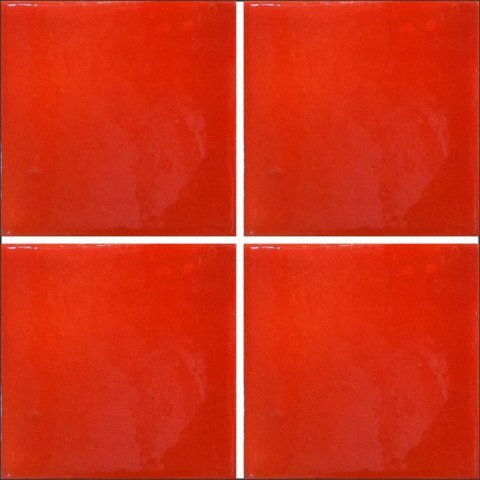 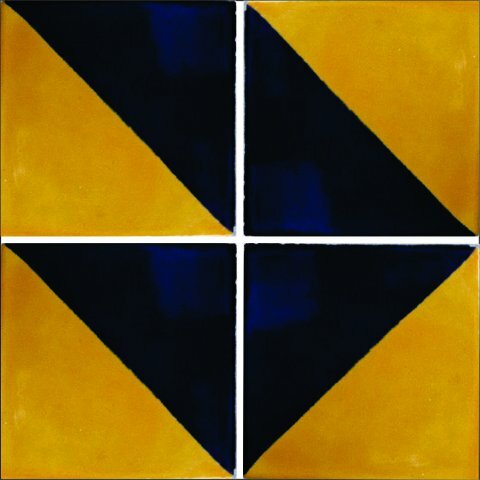 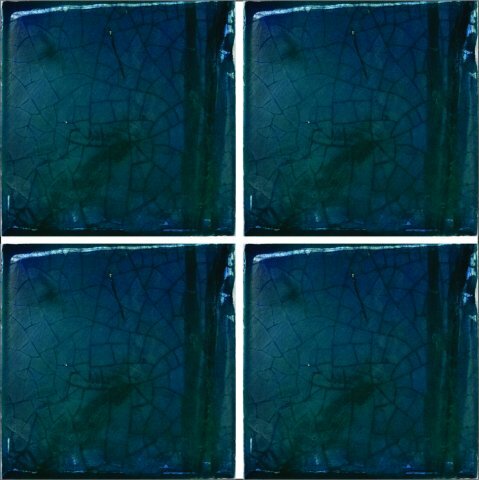 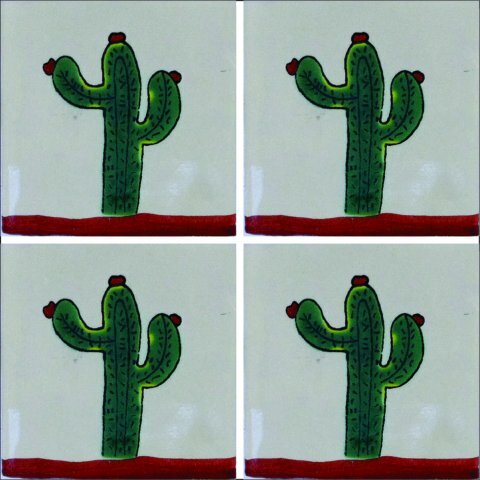 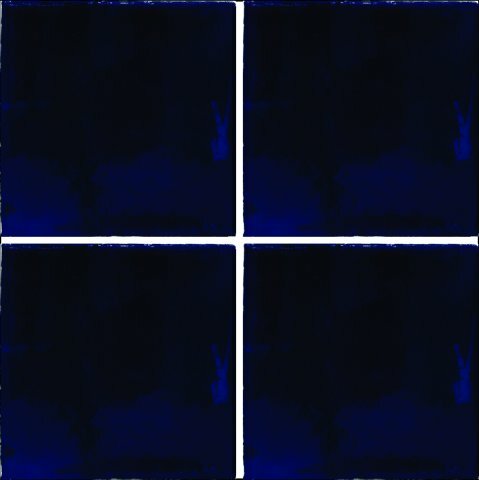 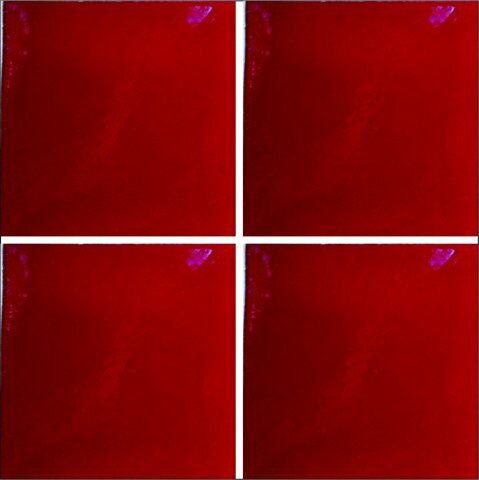 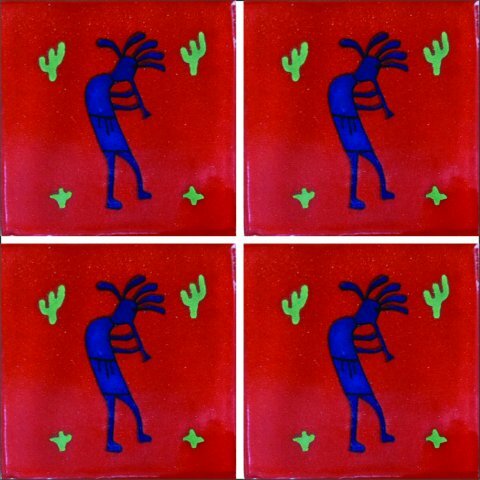 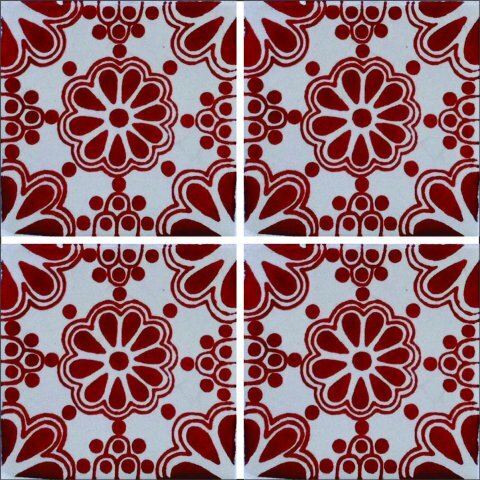 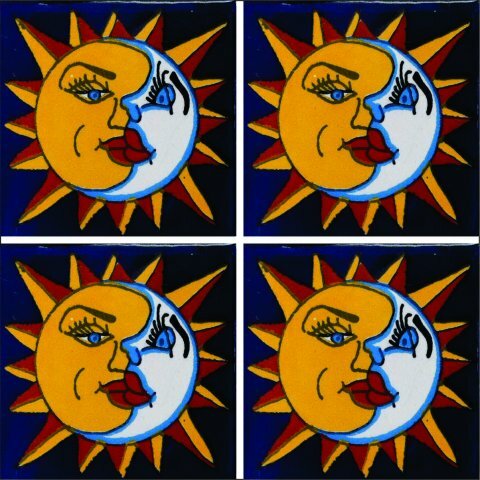 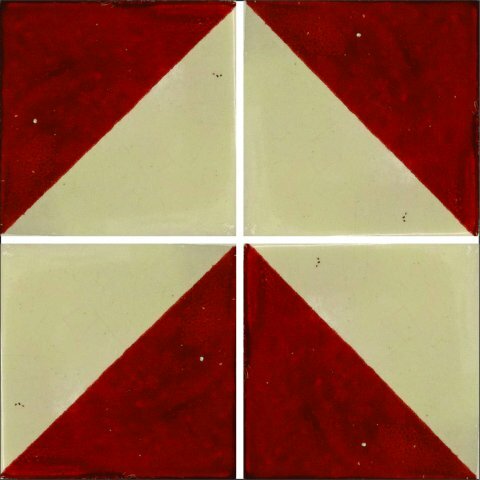 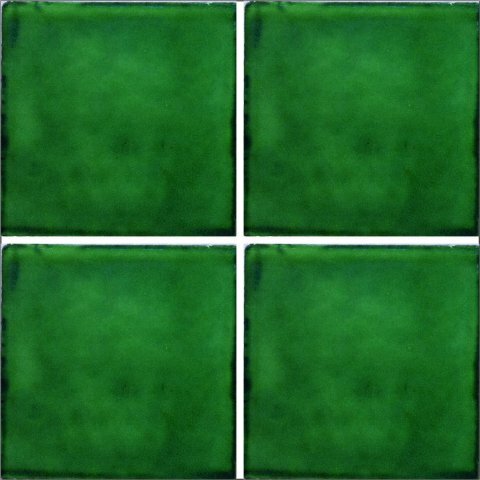 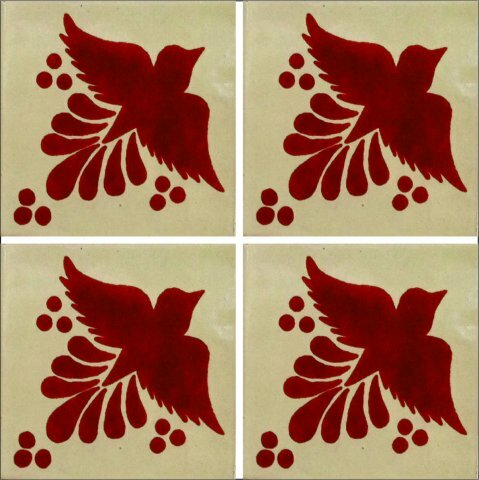 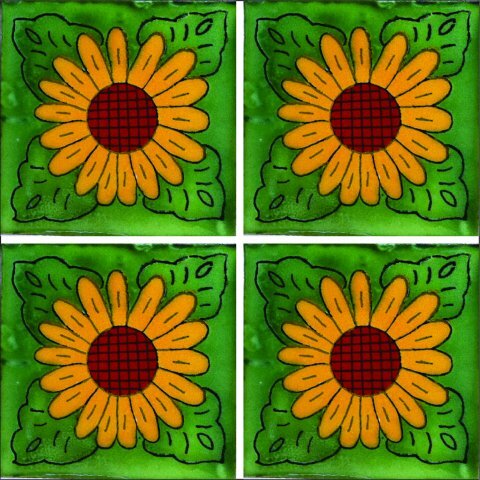 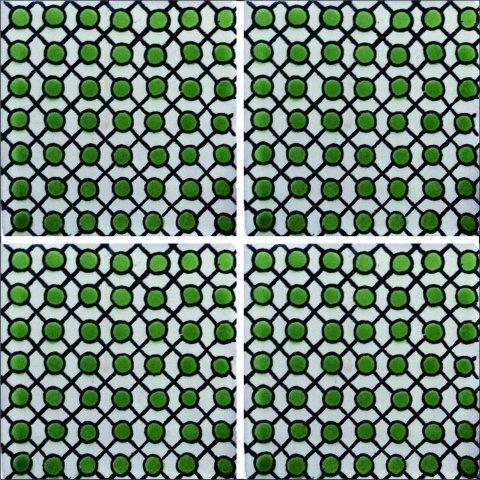 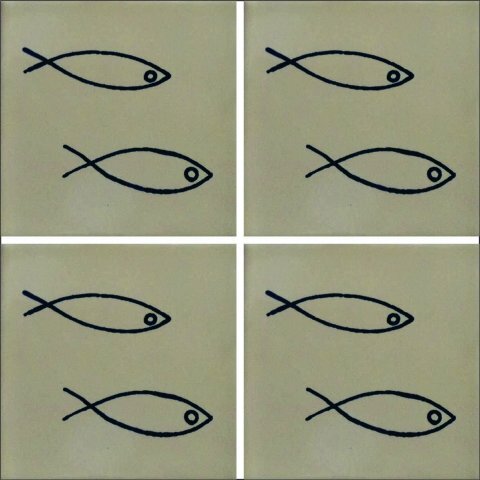 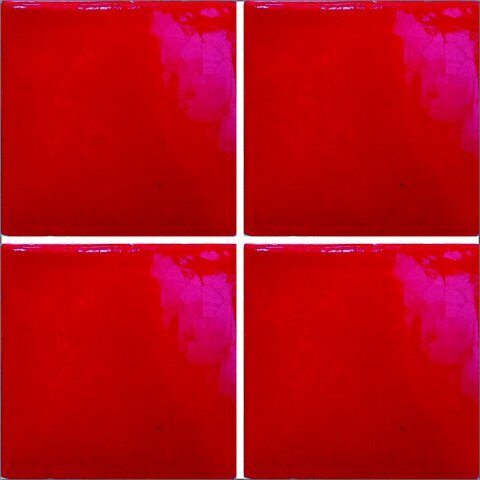 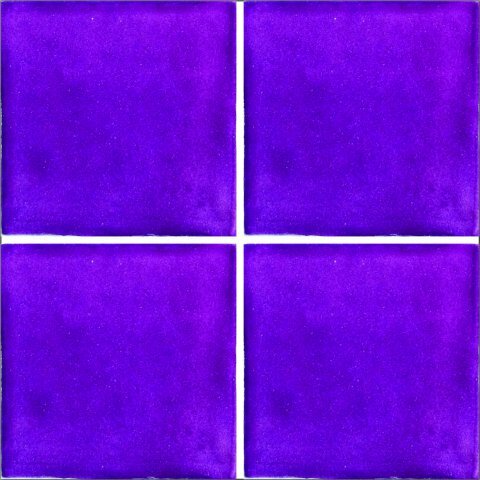 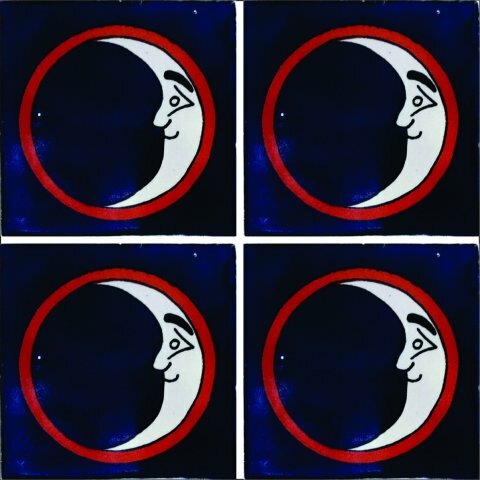 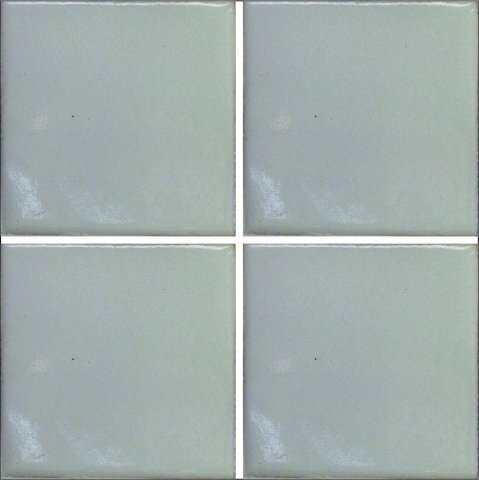 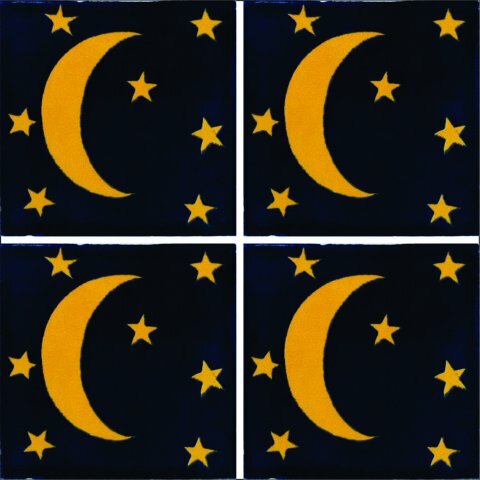 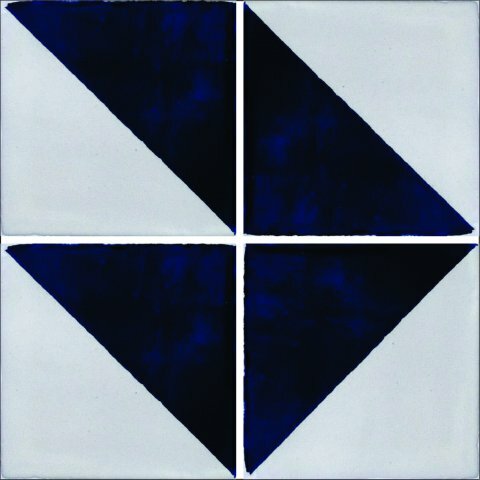 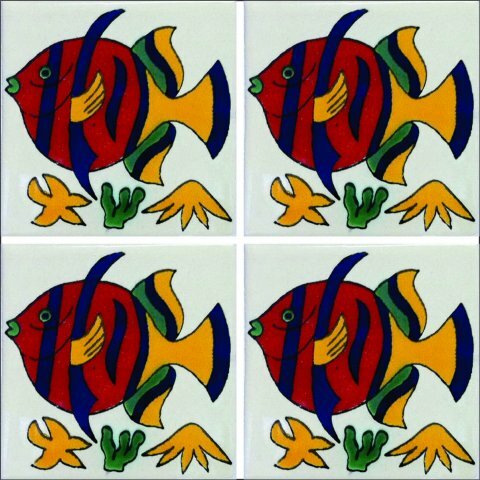 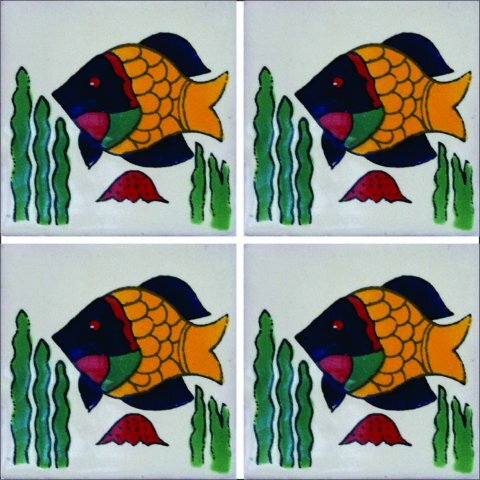 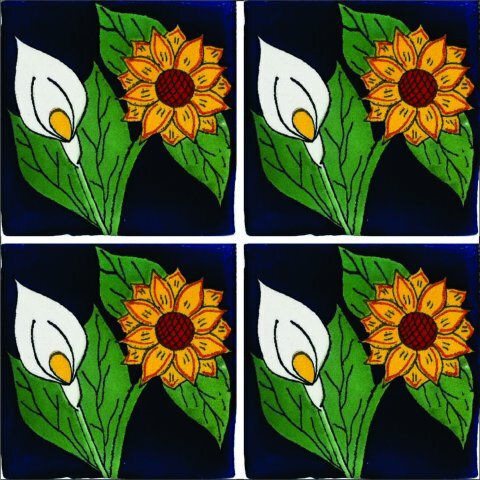 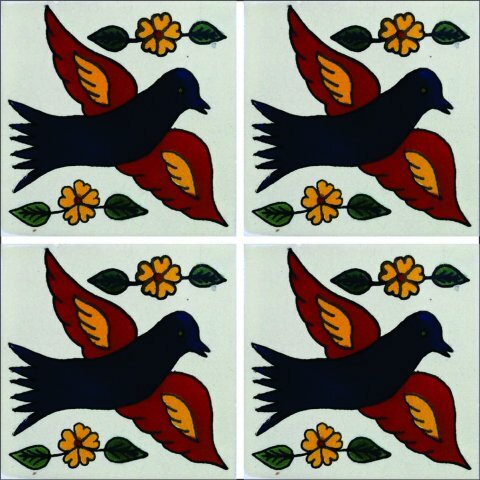 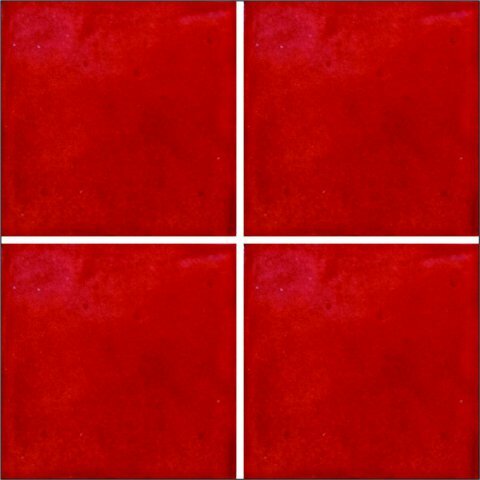 Picture shows four tiles so that you can see how the figures fit together.